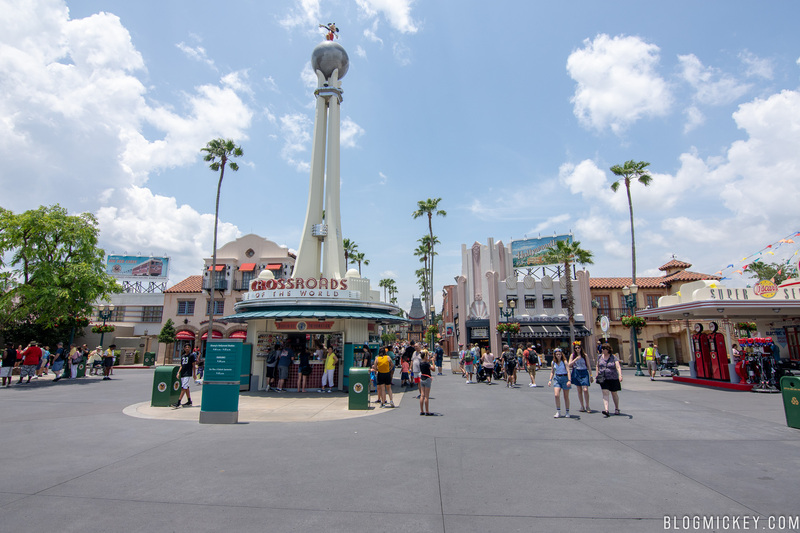 Since we received so much support for our Magic Kingdom photo update, we decided to head out to Disney’s Hollywood Studios to give you an overall look at the state of the park. 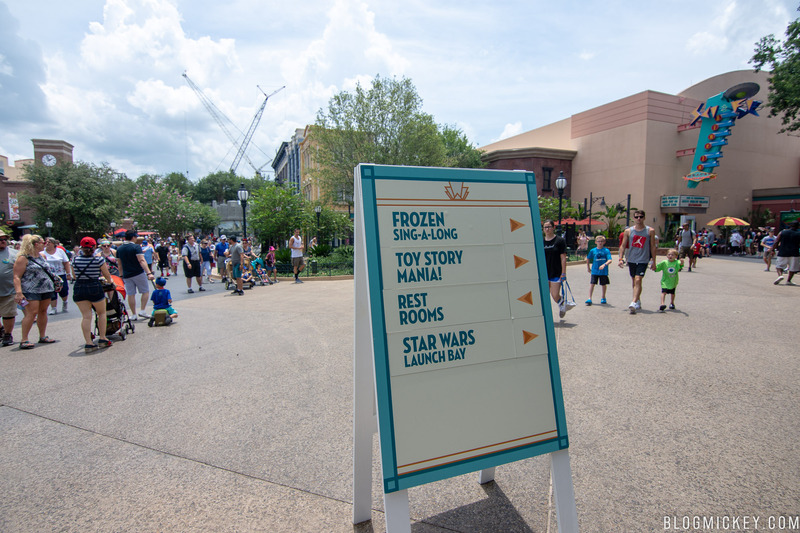 Disney also recently opened a new Cast Wardrobe building south of Star Tours, freeing up room for Disney to create a new guest drop off area in the former handicap parking area. 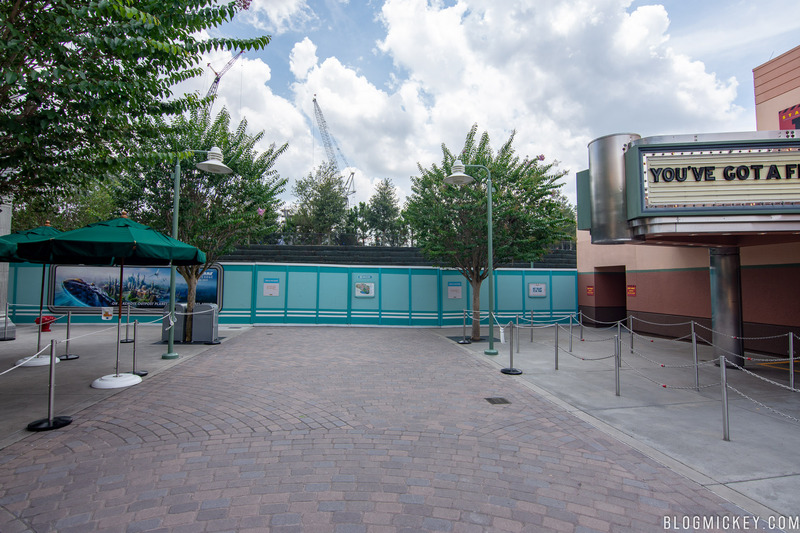 Construction is underway in front of the old Cast Wardrobe building (green roof). 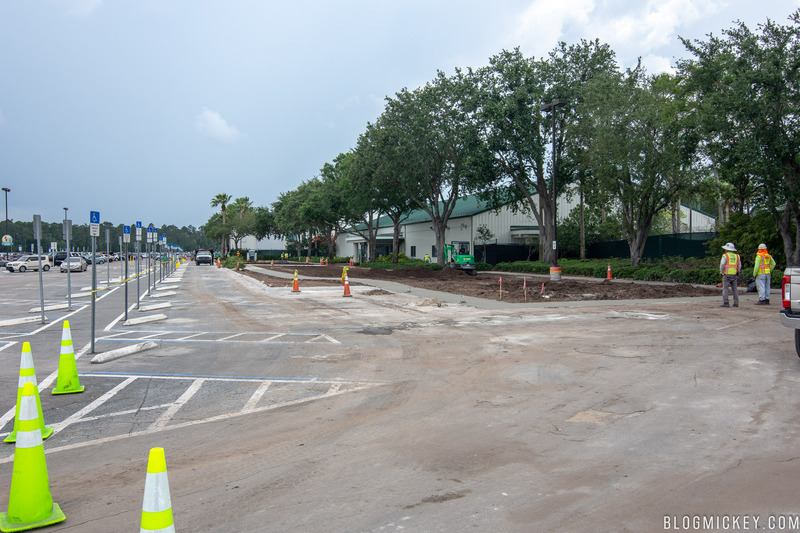 Part of the not-yet-open part of the multi-year parking lot expansion is the new Osceola Parkway entrance. 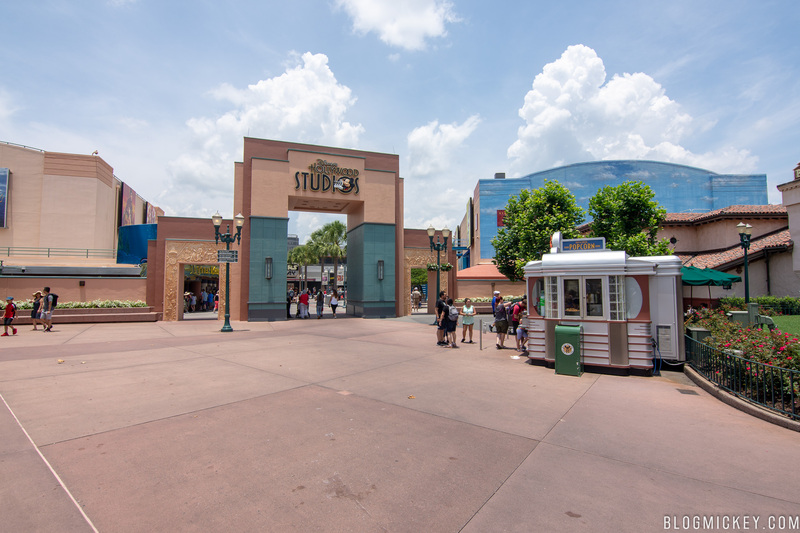 When open, this new entrance will act as the main entrance to Disney’s Hollywood Studios parking lot. 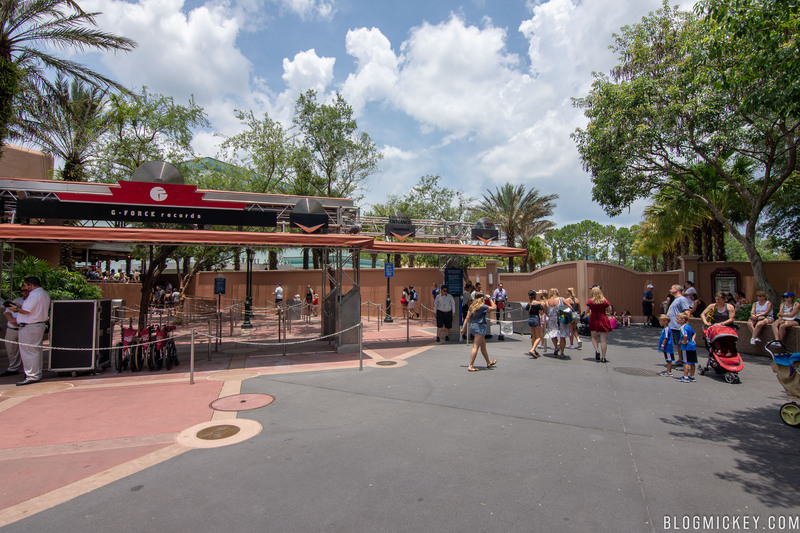 As part of the new entrance, a new parking plaza is now vertical. 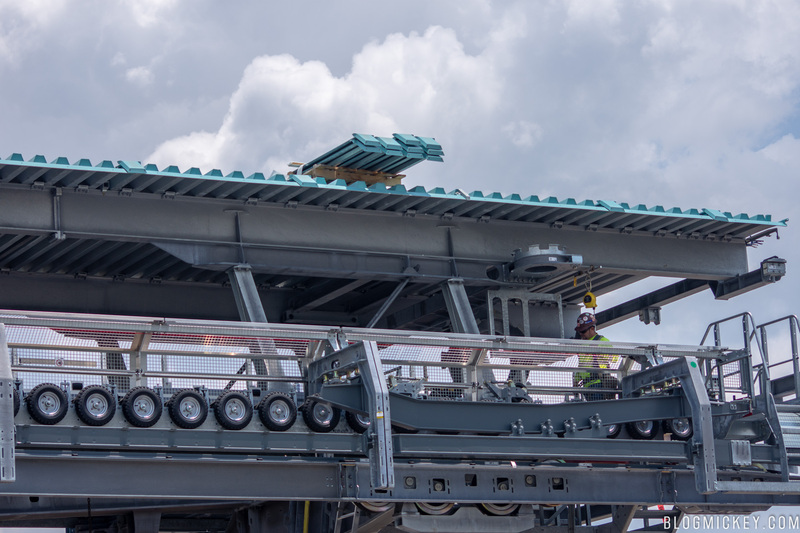 One of the solutions to the transportation woes is the Disney Skyliner. 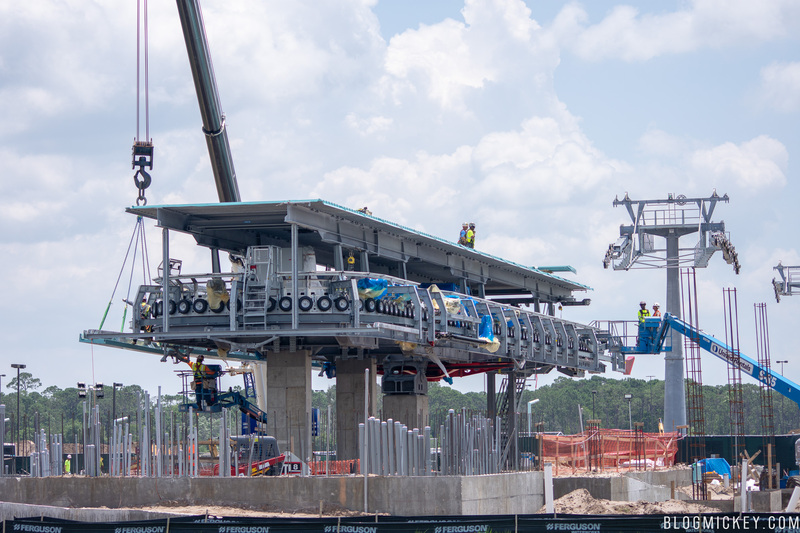 The Skyliner will be a gondola system that carries guests between Disney’s Hollywood Studios, Epcot, and area resorts. 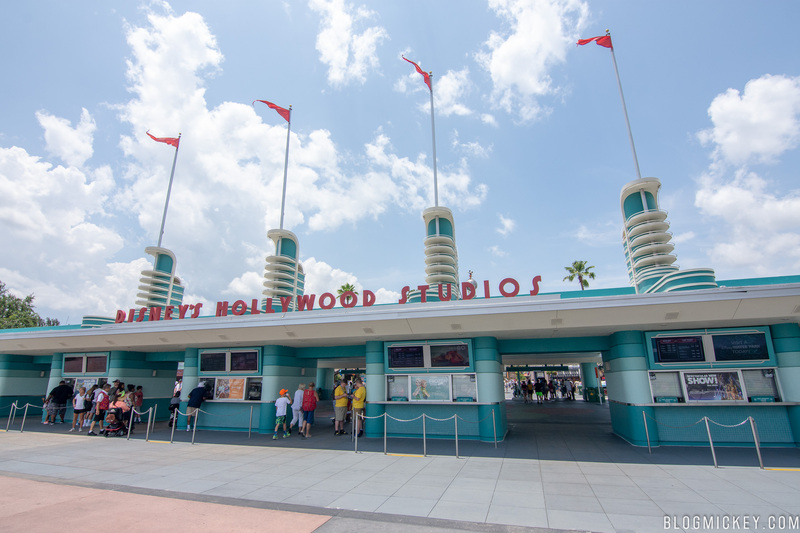 The Skyliner station at Disney’s Hollywood Studios is progressing nicely, with the topmost roofing completed recently. 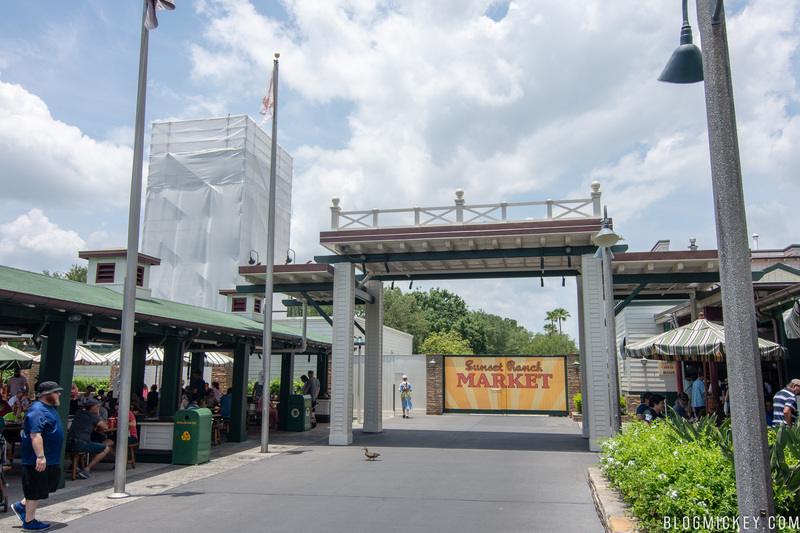 New paneling is being installed to hide the wheels from view to those guests standing on the ground. 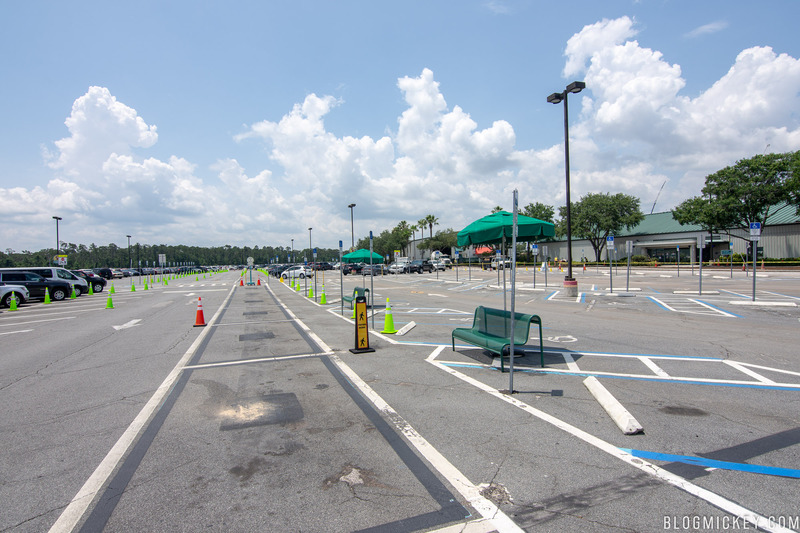 On the Sunday before Memorial Day, Disney was using an expanded bag check area. 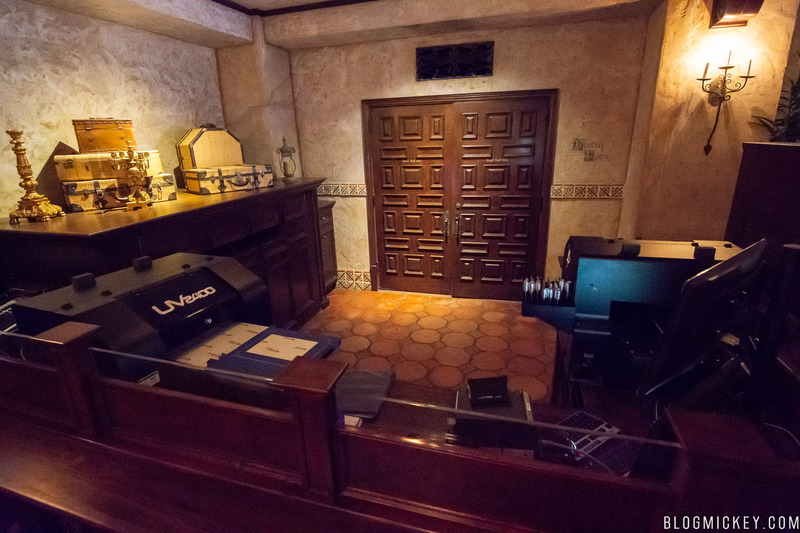 This led to a much quicker process. 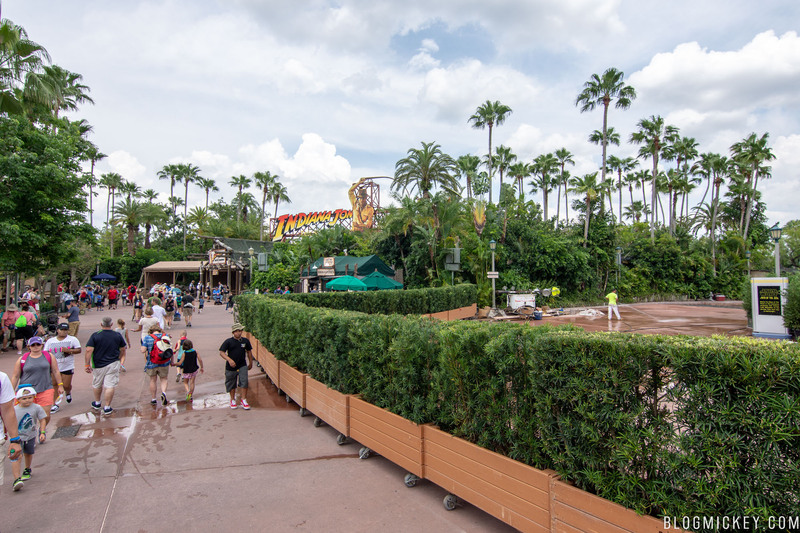 At the moment, they’ve gone back to a normal amount of lanes, but they have a lot of room here to make lines as short as possible when Toy Story Land opens later this month. 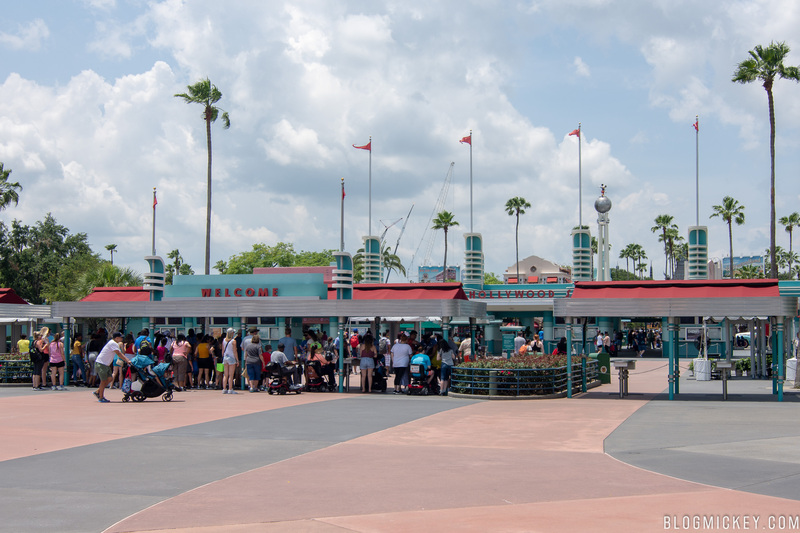 We arrived at the park around noon, which led to lower crowd levels. 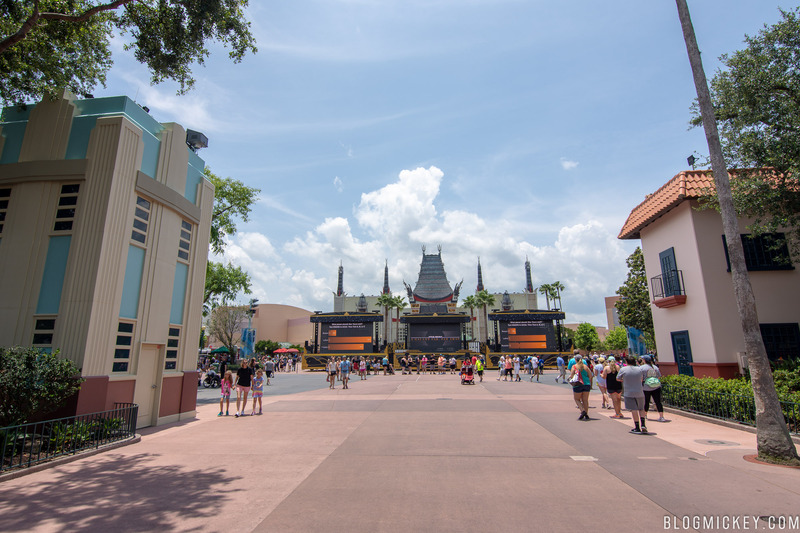 Summer is in full swing in Orlando, with afternoon thunderstorms and “feels like” temperatures in the upper 90’s. 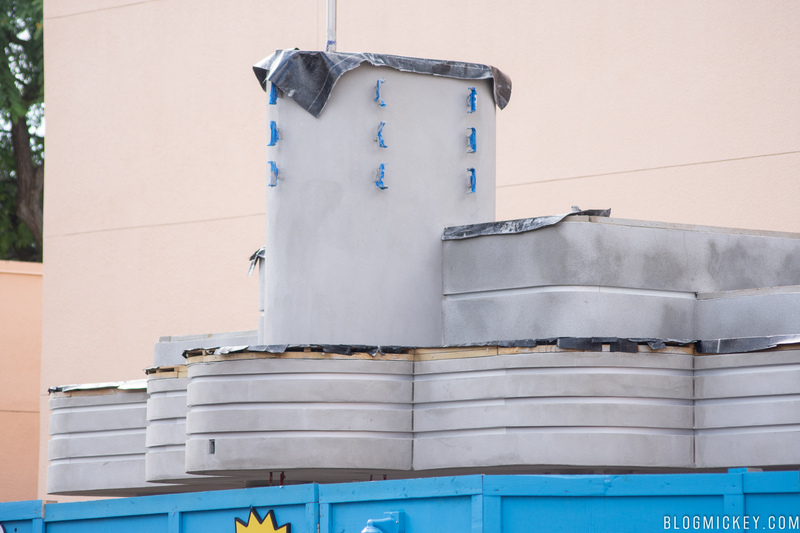 The Star Wars Launch Bay is still in the middle of Animation Courtyard for a couple more years until Star Wars: Galaxy’s Edge is open. 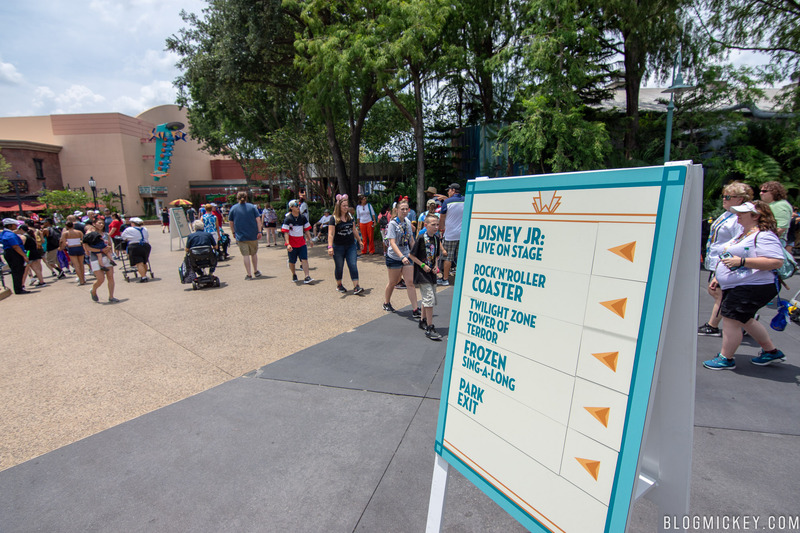 It seems a bit out of place, stuck between Voyage of the Little Mermaid and Disney Jr. Live on Stage. 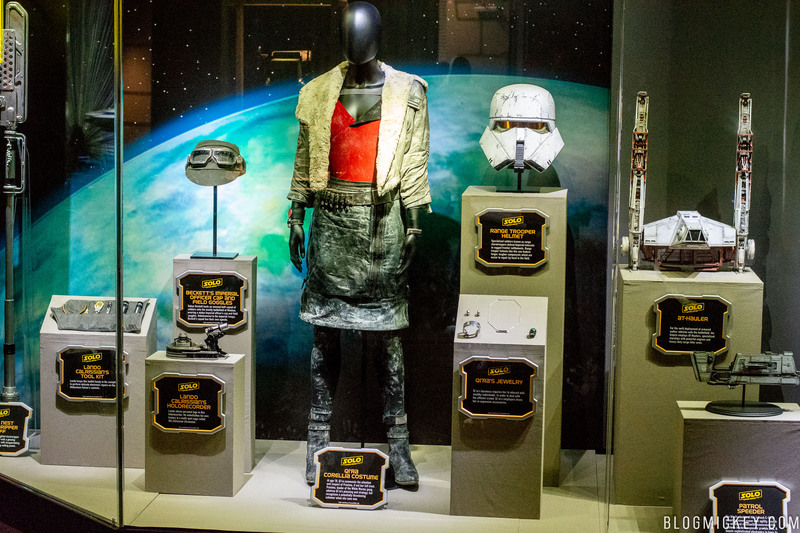 In Star Wars Launch Bay, new movie-used props have arrived from Solo: A Star Wars Story. 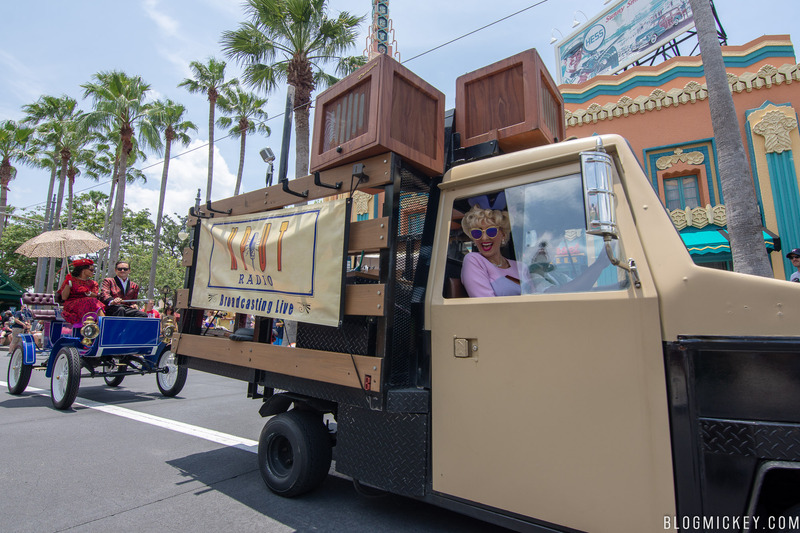 Check out our full post for more photos. 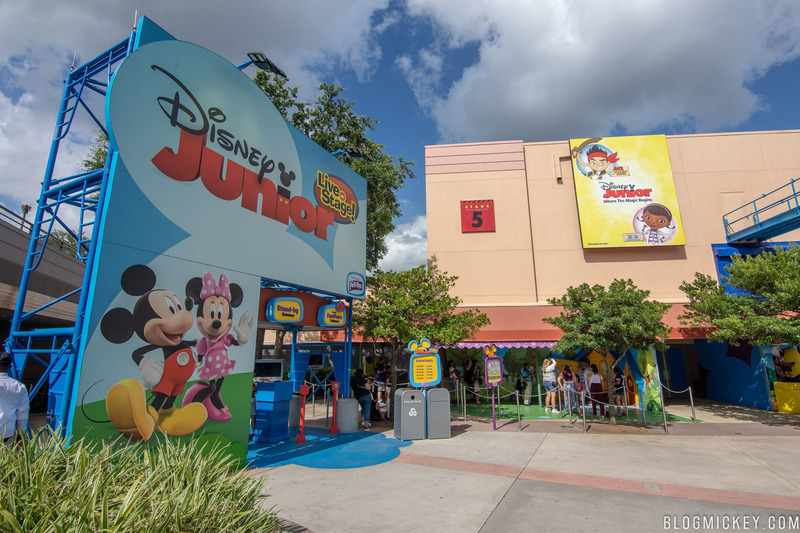 The days are numbered for Disney Jr. Live on Stage. 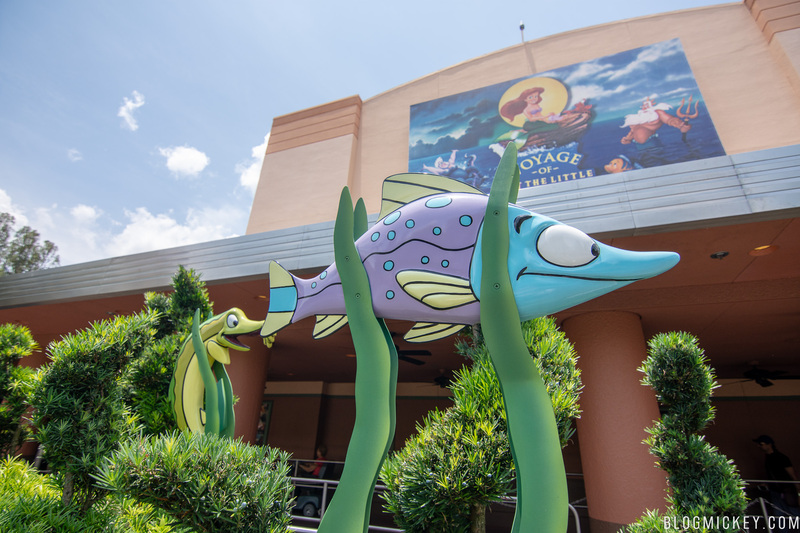 Disney recently announced that a new show would be taking its place, leading to the current puppet show to close on September 1st. 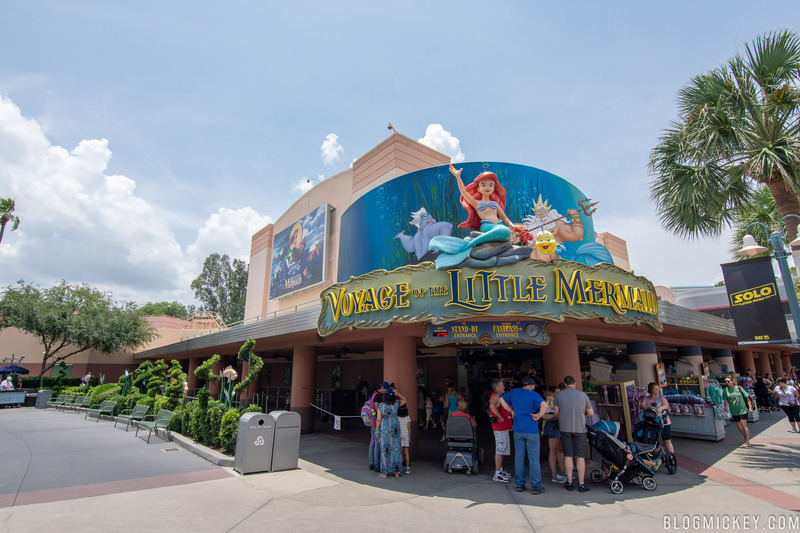 With Voyage of the Little Mermaid over 26 years old, and Hollywood Studios in the middle of a park overhaul, it’s not hard to see a future where it, as well as the rest of Animation Courtyard, is overhauled as well. 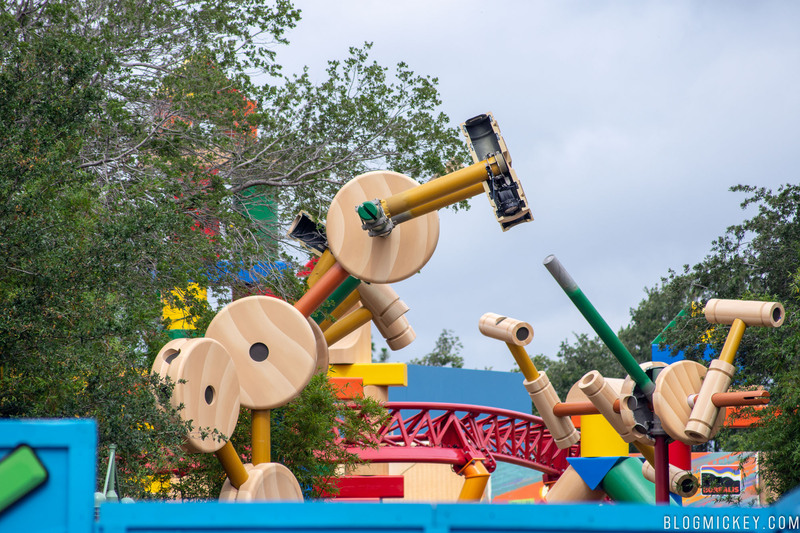 Pixar Place is next up, and will likely be the focus of much of our summer 2018 coverage once Toy Story Land opens in just over 3 weeks time. 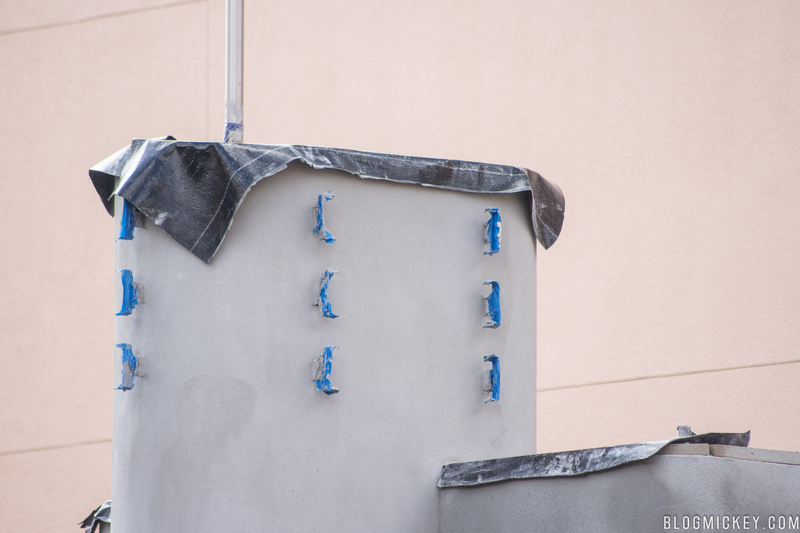 From Pixar Place, we can see some work being done on the land, including the installation of lighting elements. 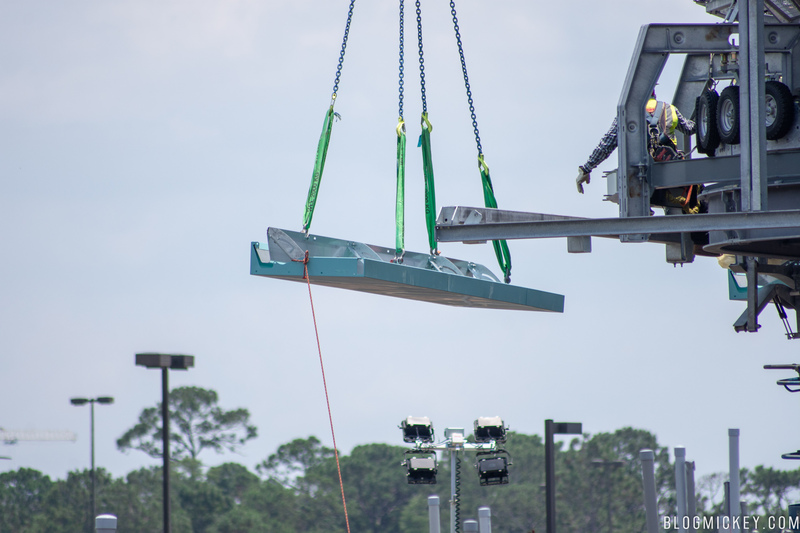 The first photos that show the lighting elements open were taken a little over a week ago. 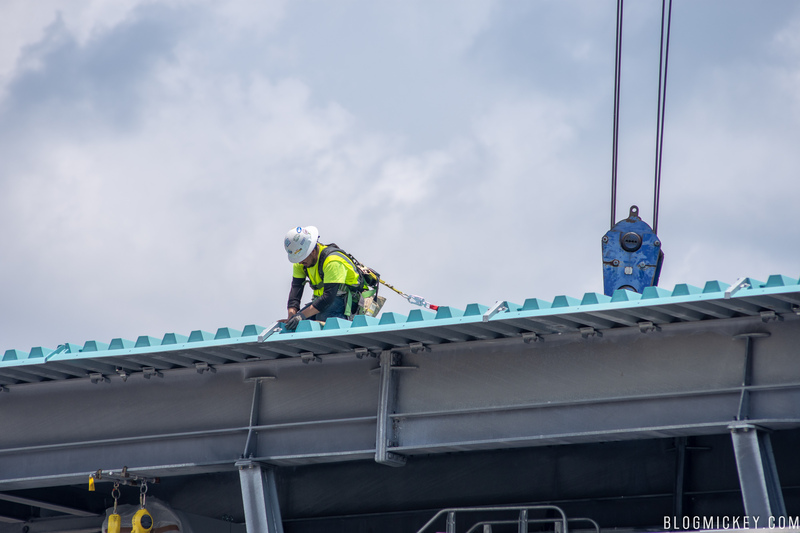 We returned yesterday to find crews enclosing the lighting elements. 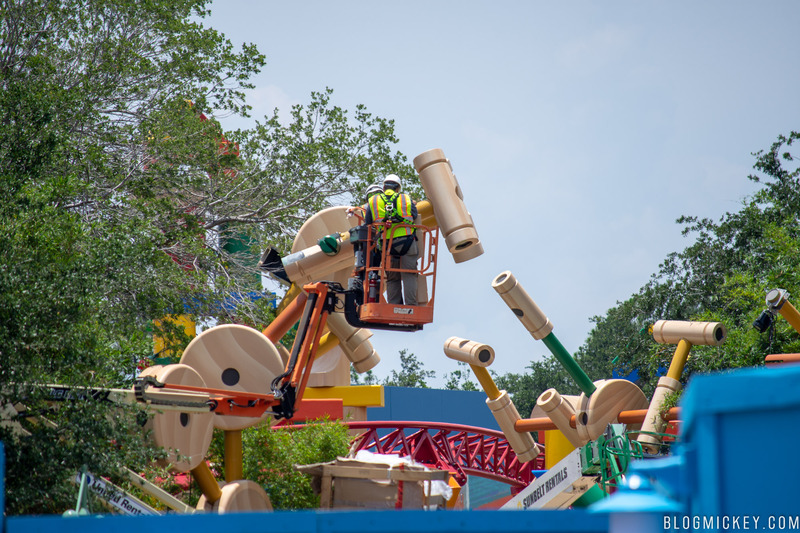 This work is taking place at the Toy Story Land entrance. 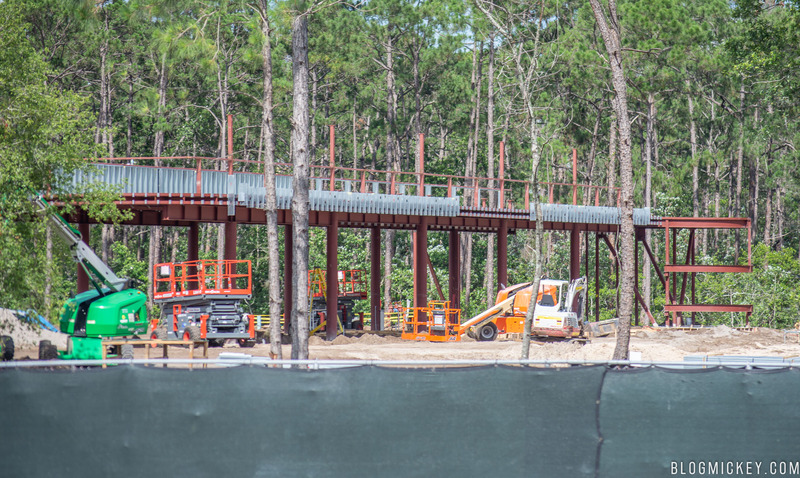 Nearby, a Disney Vacation Club kiosk is taking shape at the entrance to the new land. 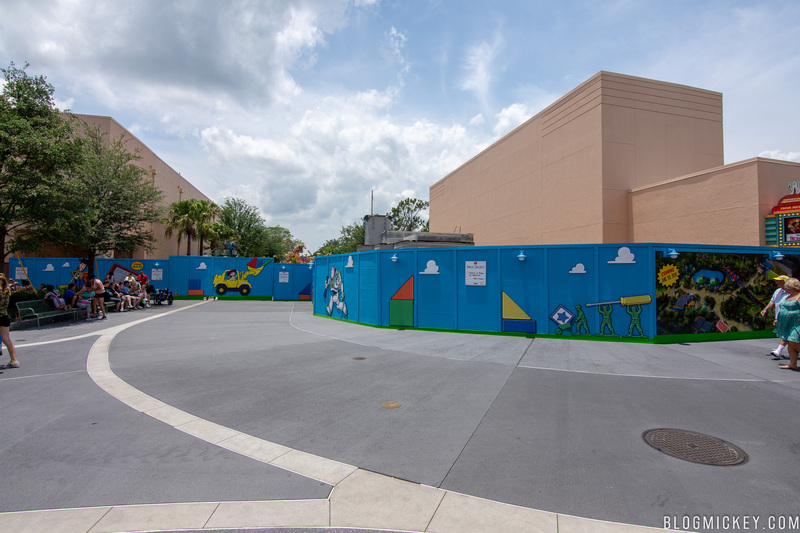 The area past these Pixar Studios gates will be closed off and turned into a backstage area once Toy Story Land opens and the new Toy Story Mania entrance is in place. 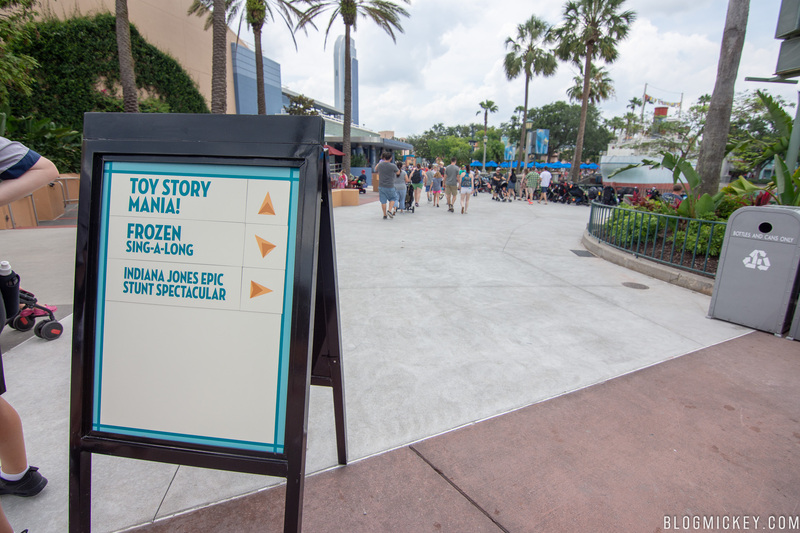 Cruz Ramirez won’t make it to Toy Story Land, and wasn’t popular when we visited. 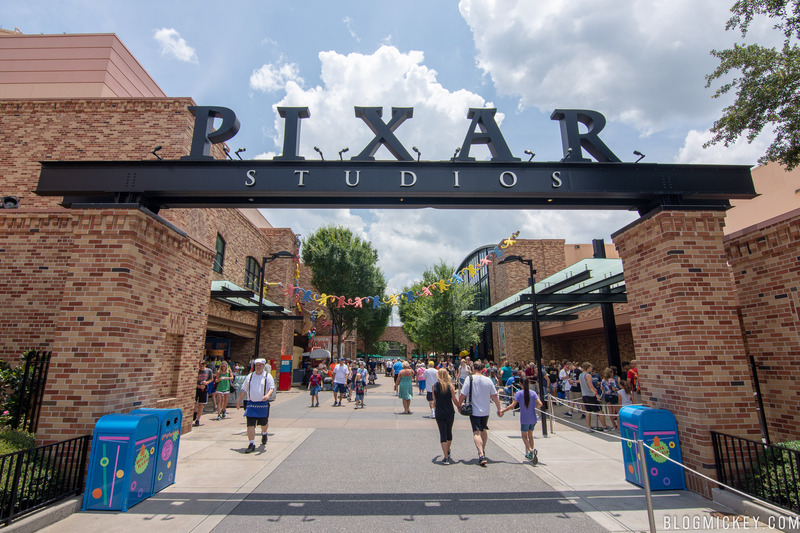 At the end of Pixar Place is a dead end, and Star Wars: Galaxy’s Edge sits just beyond the treeline. 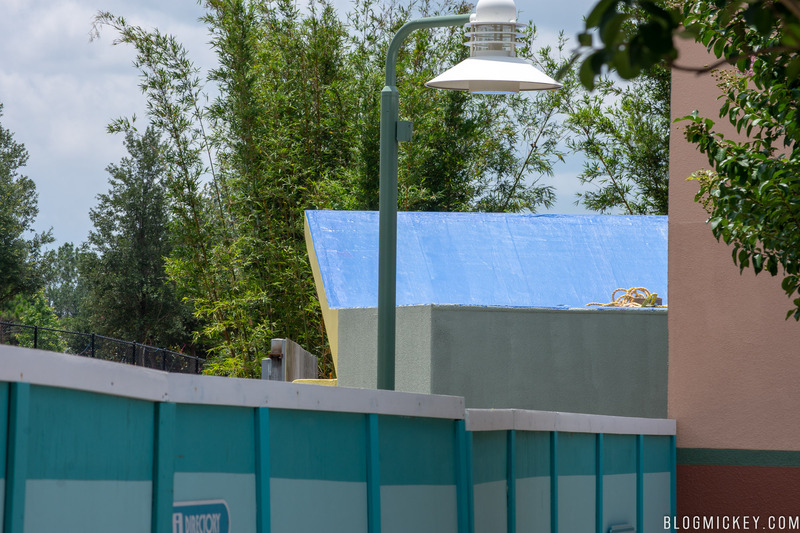 Scaffolding runs up the rear of the Mickey and Minnie’s Runaway Railway building. 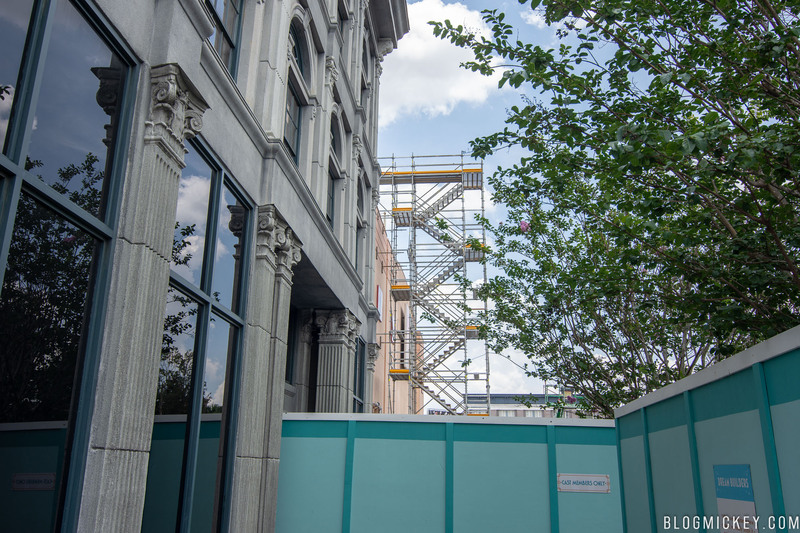 This is likely for roof access, and it’s possible that construction inside the building is preventing the normal roof access route. 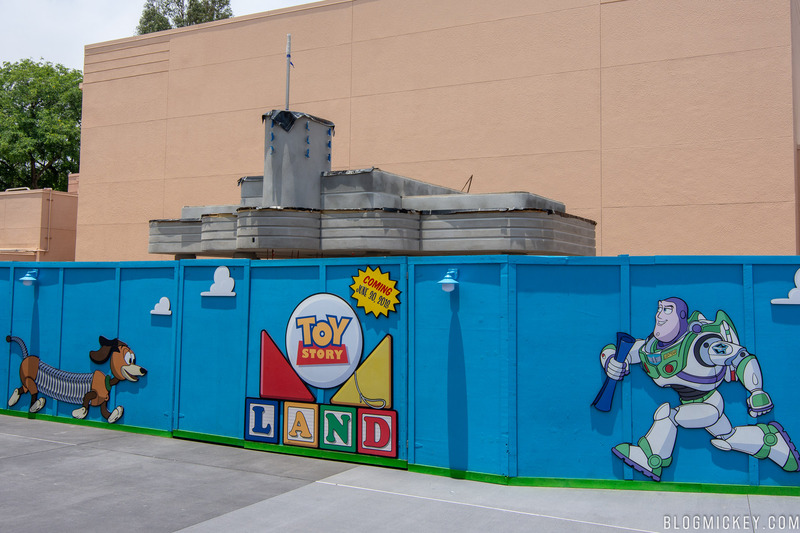 From the Pixar Place dead end, we can get a glimpse at the new Toy Story Mania exit path that will lead guests back into Toy Story Land. 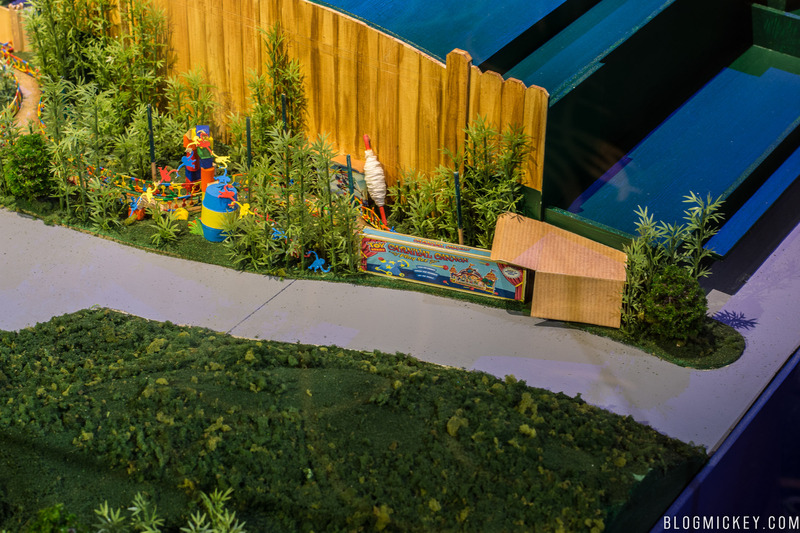 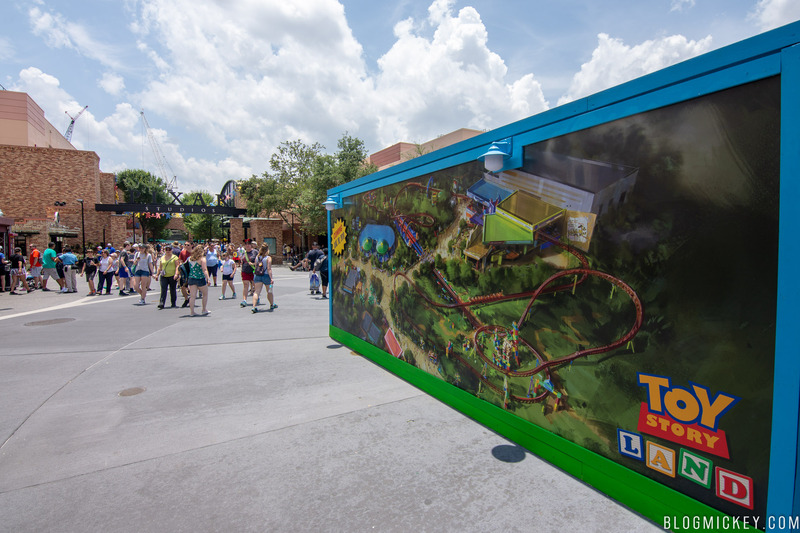 Here’s what it looks like in the Toy Story Land model, where we would be standing off to the right looking at the cardboard box as the concrete structure above. 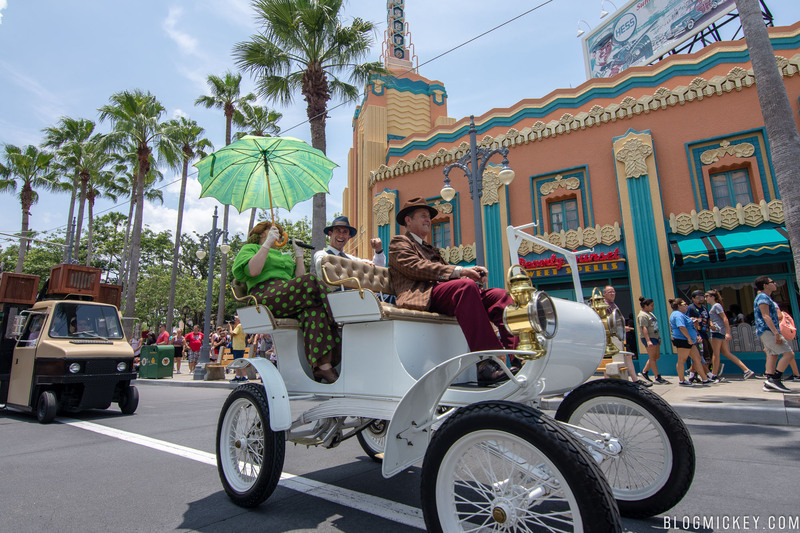 Moving over to Sunset Blvd now, we caught a mini-parade as some of the Streetmosphere characters made their way down the road. 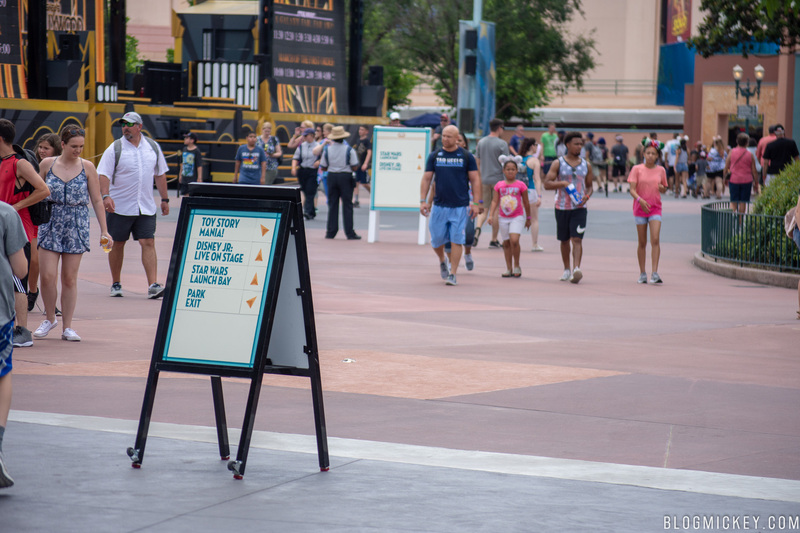 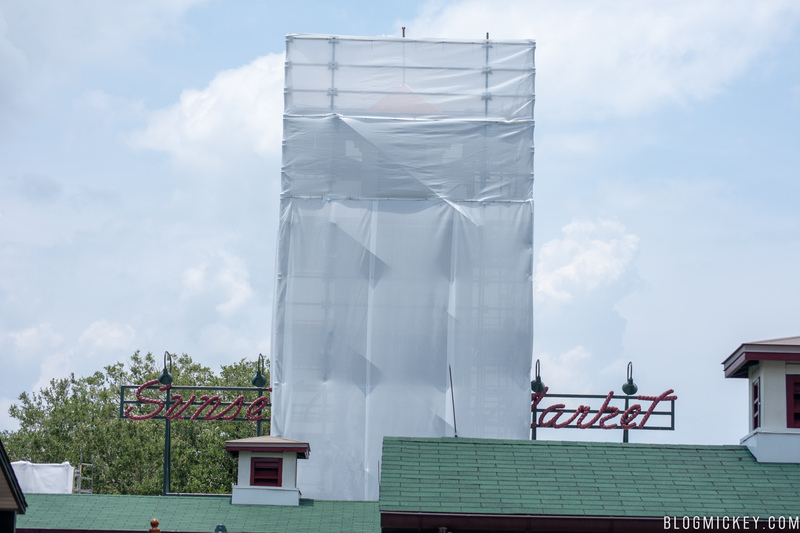 As you may have noticed in the background, the Sweet Spells signage is still up, despite being closed since mid-April. 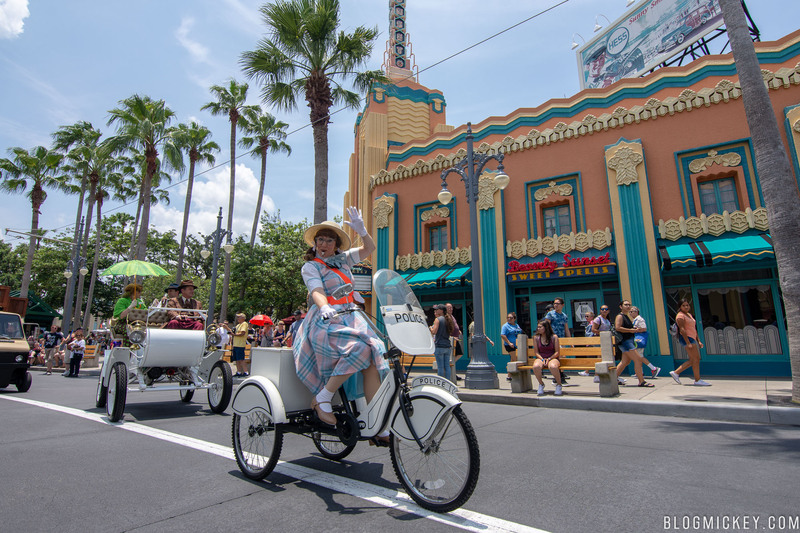 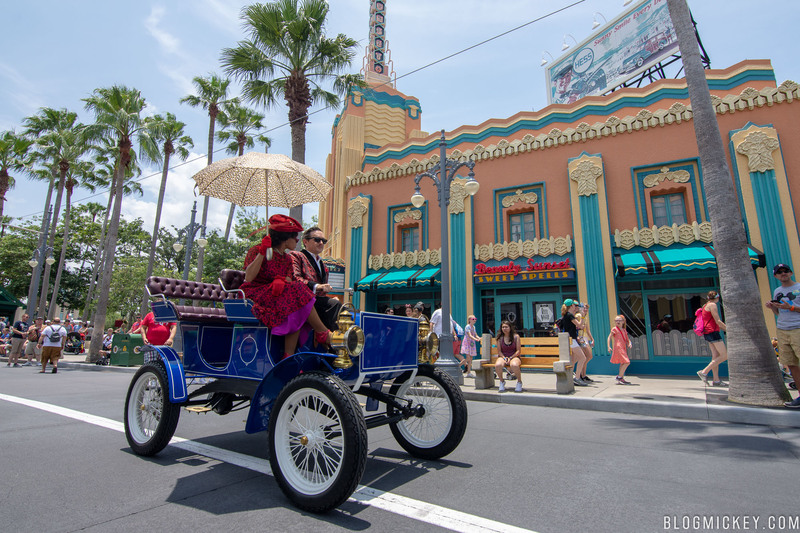 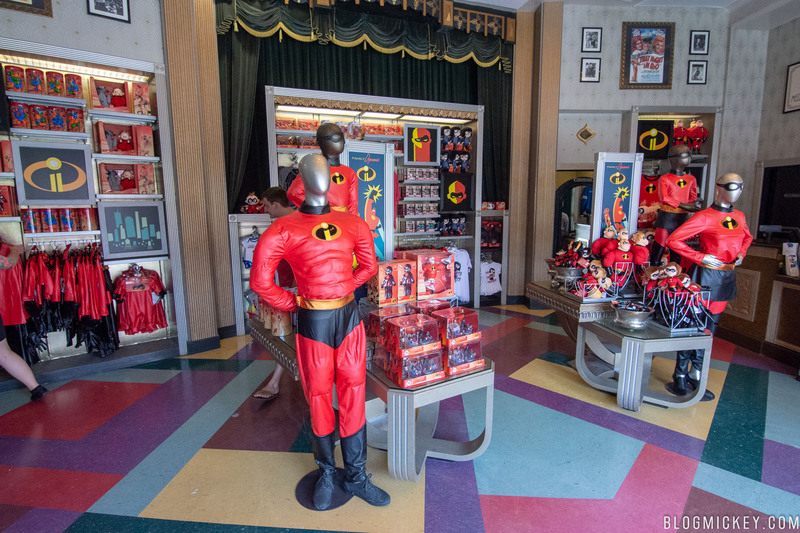 Next to Sweet Spells, at Reel Vogue, The Incredibles have taken over, and fans enjoying the Incredible Summer at Walt Disney World will be able to find whatever they might need. 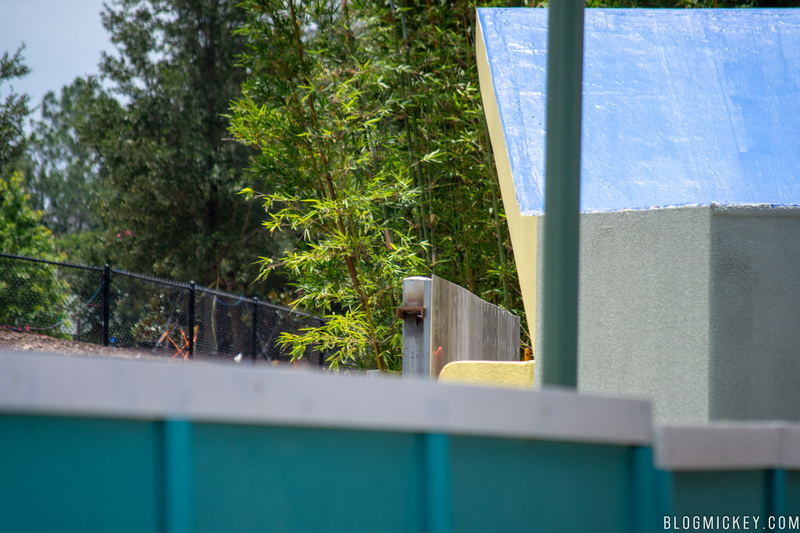 Further down Sunset Blvd, we can see a bit of theming for the Sunset Ranch Market is behind scrims. 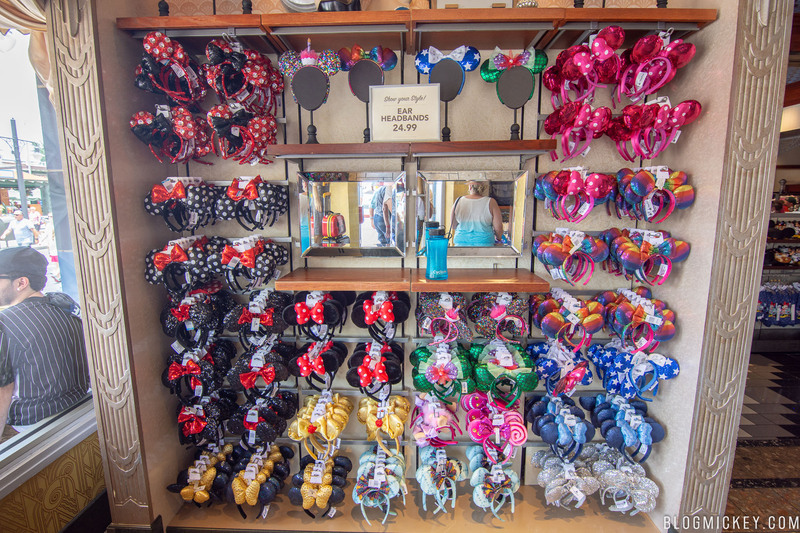 Just about any type of Minnie Mouse ears you want can be found at Sunset Club Couture. 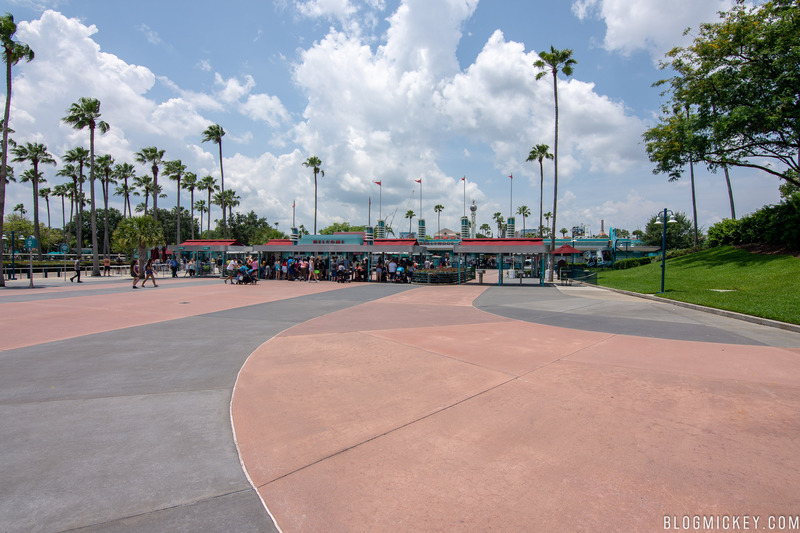 Everyone tries to get indoors either via a ride queue or a restaurant during the middle of the hot summer days, leading to the opportunity to capture some empty shots that you otherwise might not be able to. 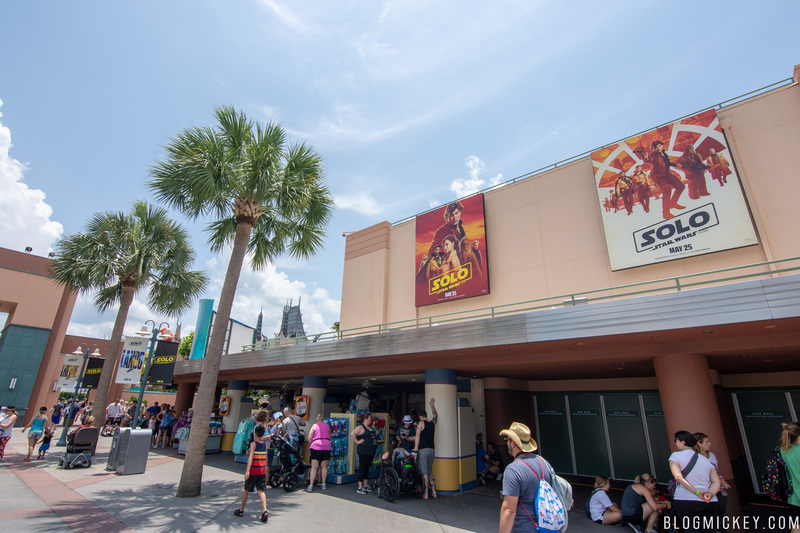 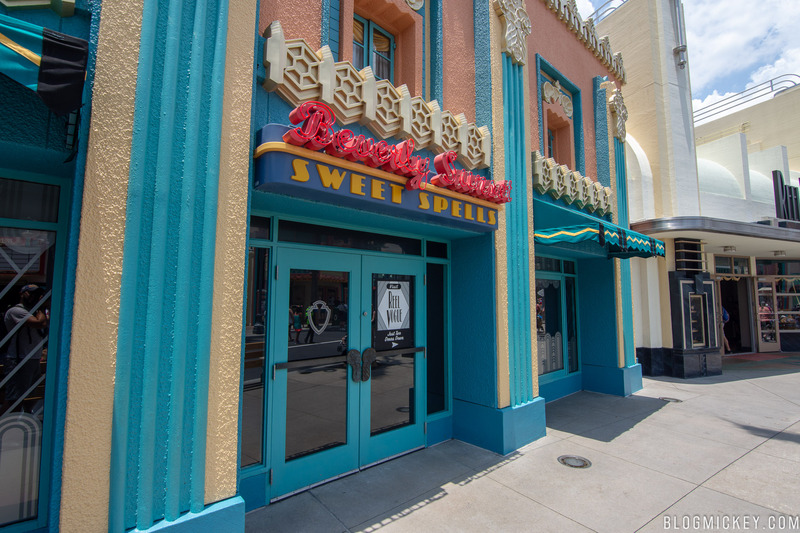 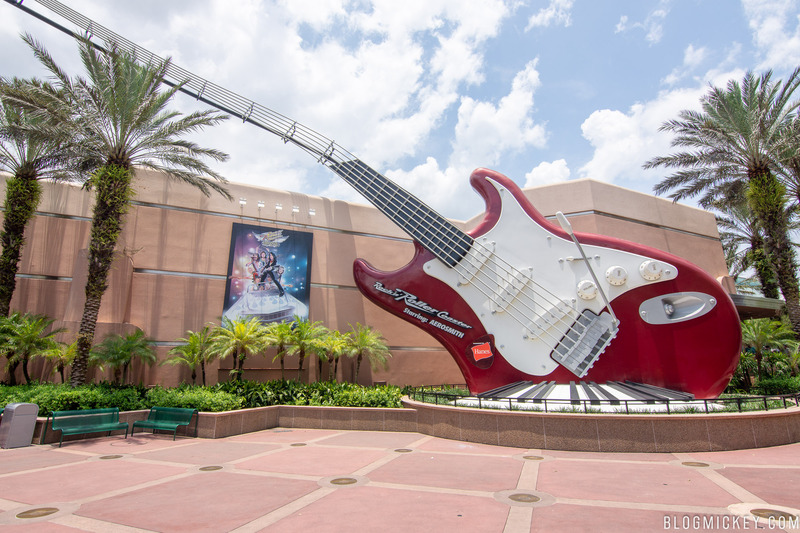 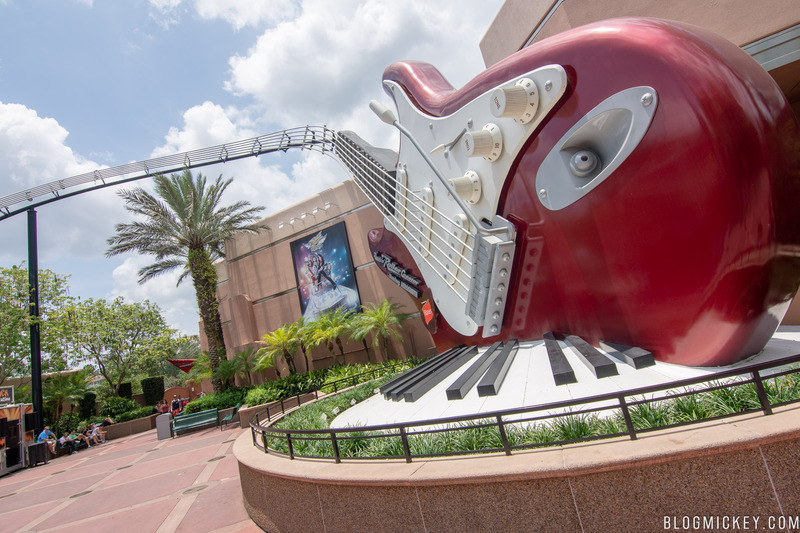 Sunset Showcase, the large flex-theater near Rock ‘N Roller Coaster remains closed, only used for private events. 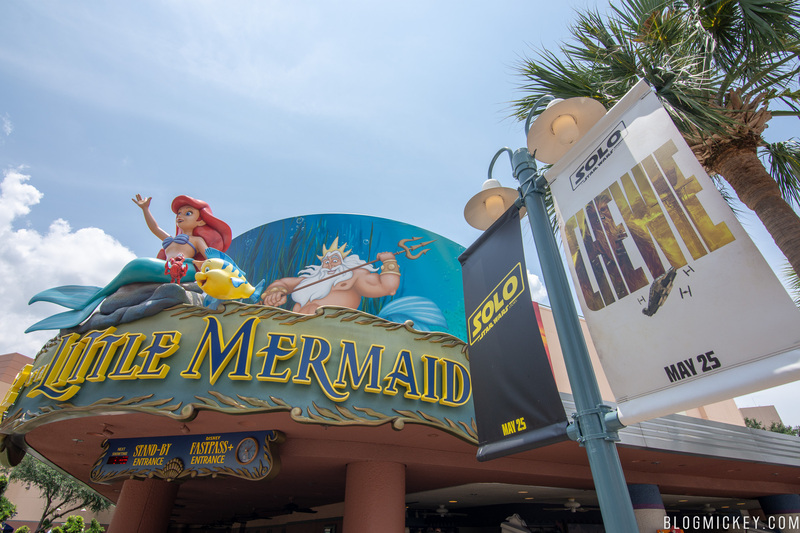 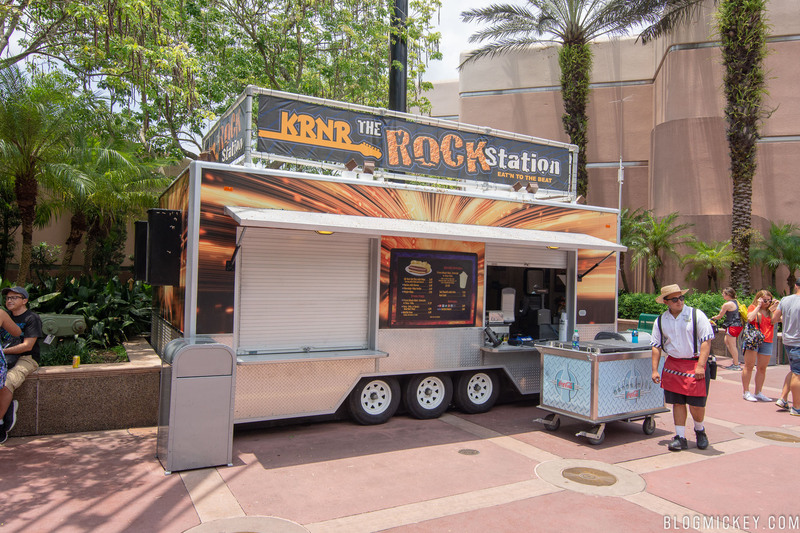 It was so hot that even the A/C in this outdoor vending stand didn’t want to work, forcing the Cast Members to sell drinks outside…in the sun. 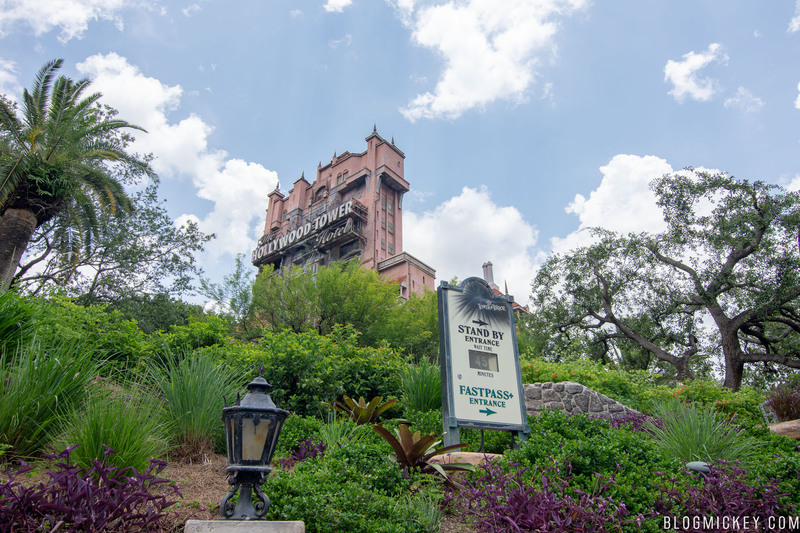 Making our way over to Tower of Terror, the wait was relatively low for 1pm. 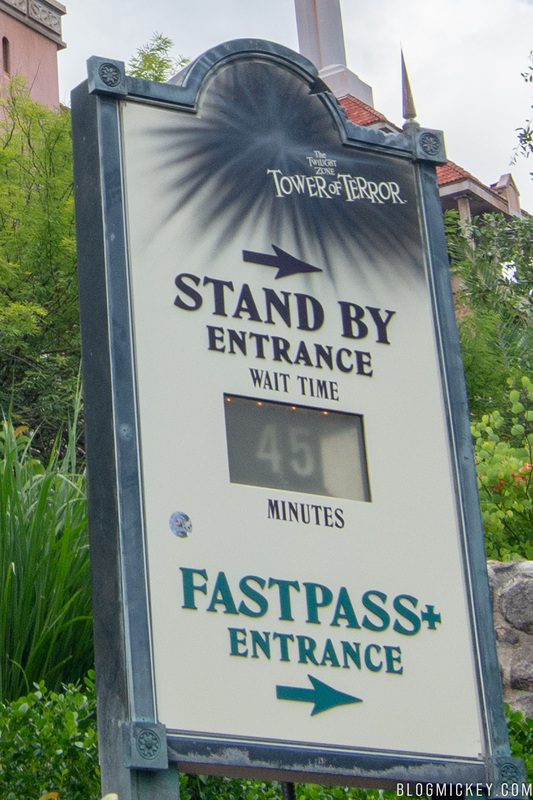 Not sure how someone managed to get a sticker onto the wait times sign. 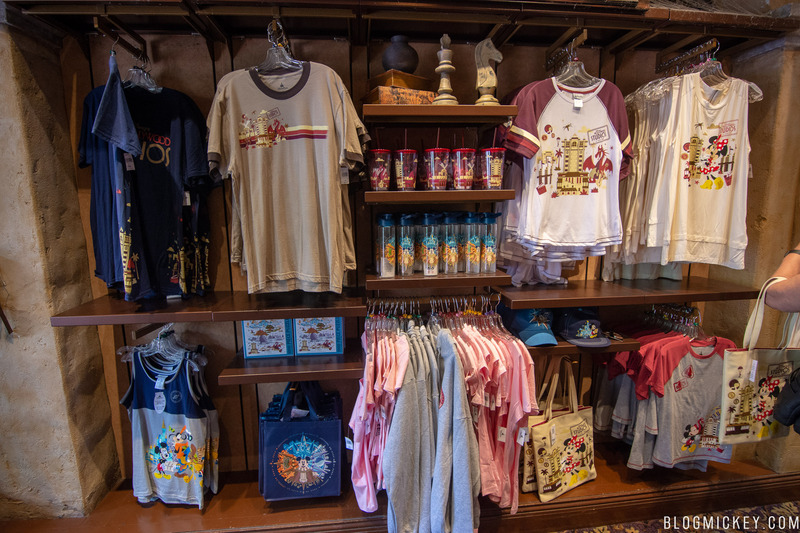 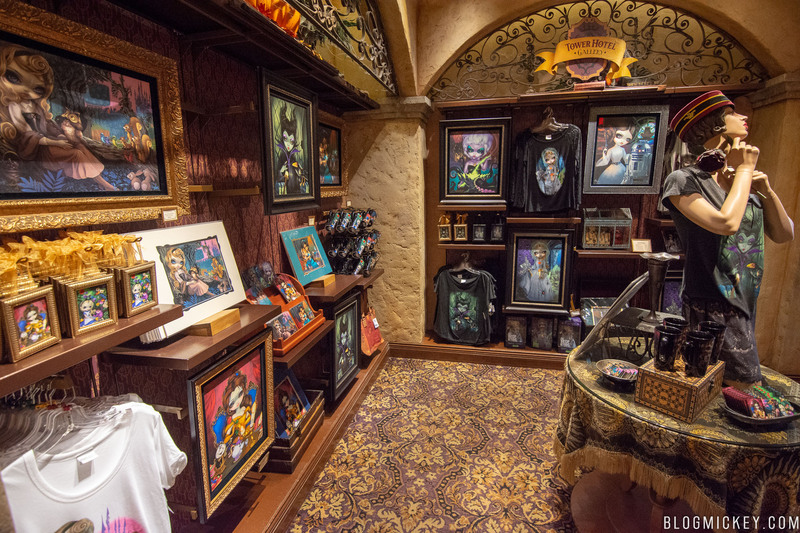 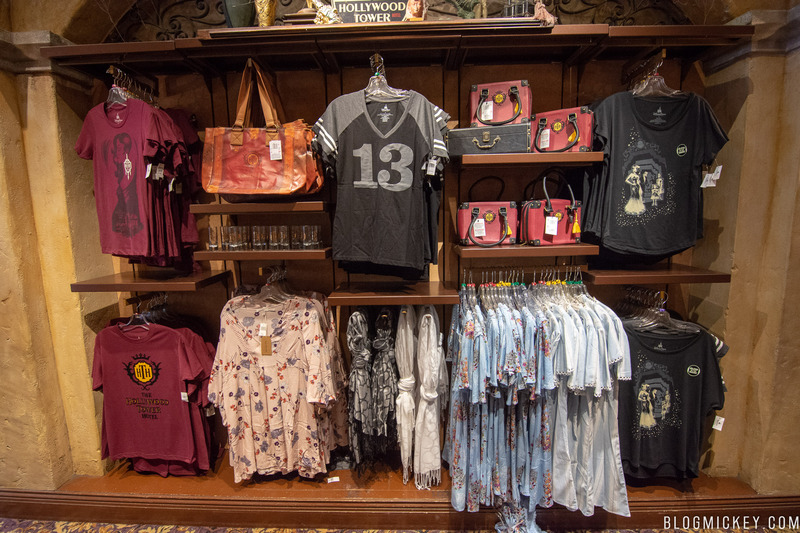 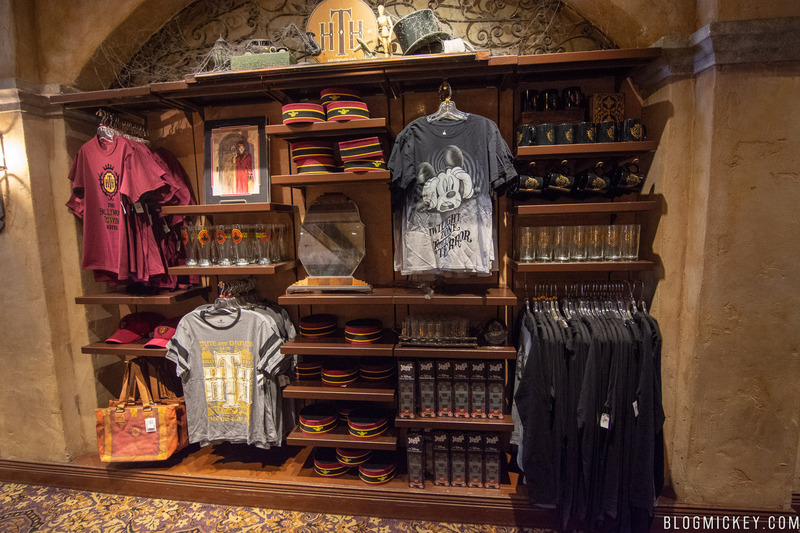 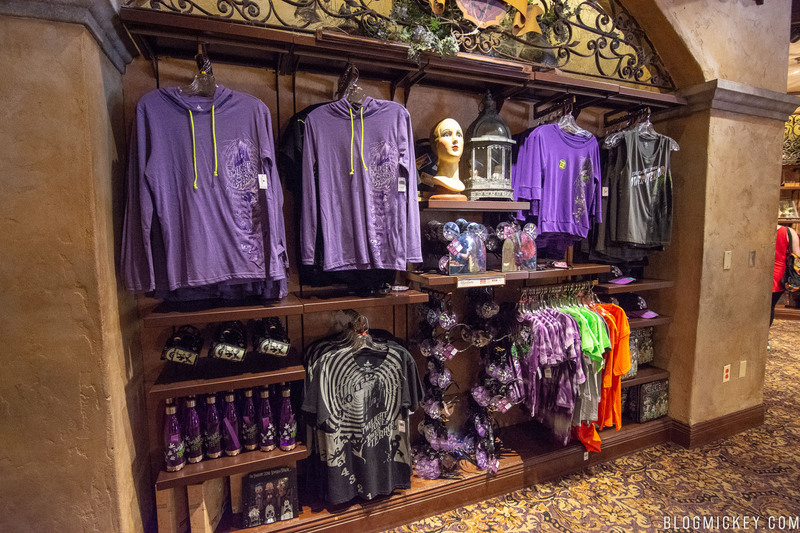 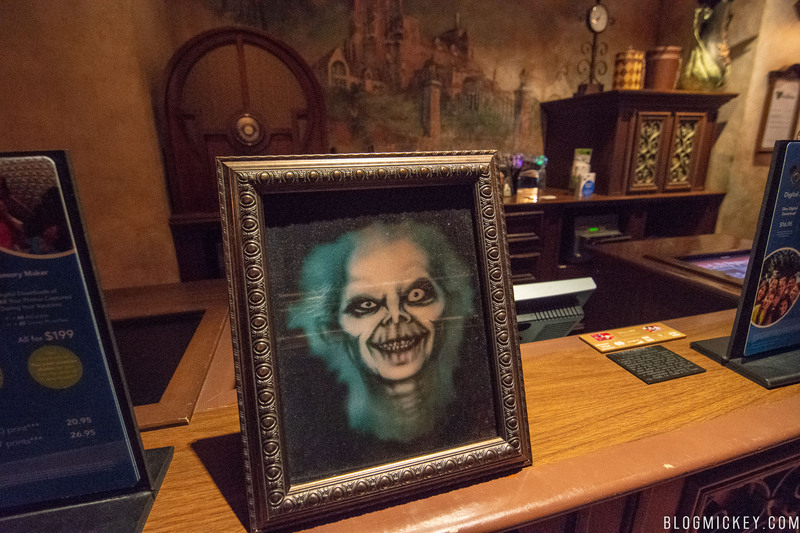 A look around Tower Hotel Gifts, at some old and new merch. 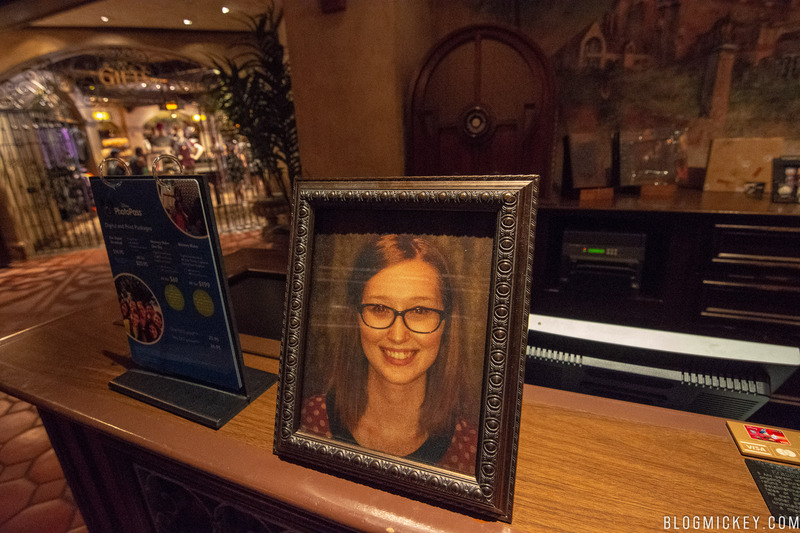 An area that was once rumored to become a bar has been turned into a spot where guests can get lenticular photos of themselves. 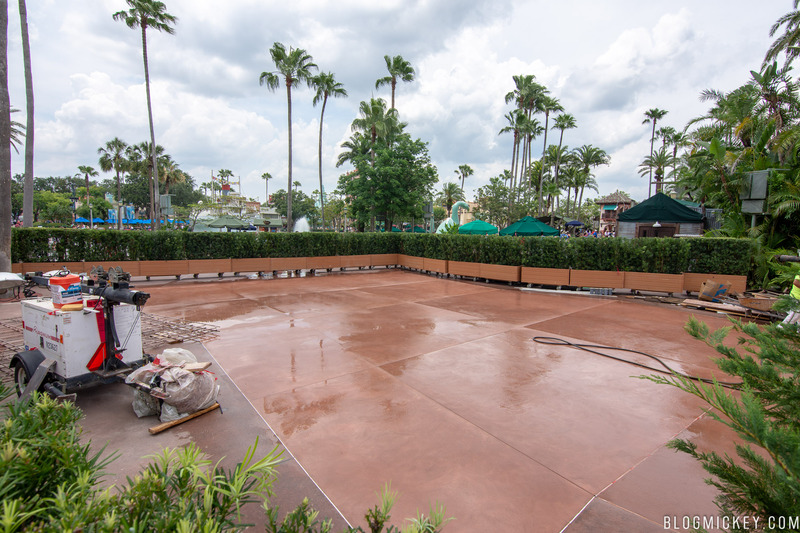 Over the past few weeks, Disney has been replacing concrete along the mobile stage route. 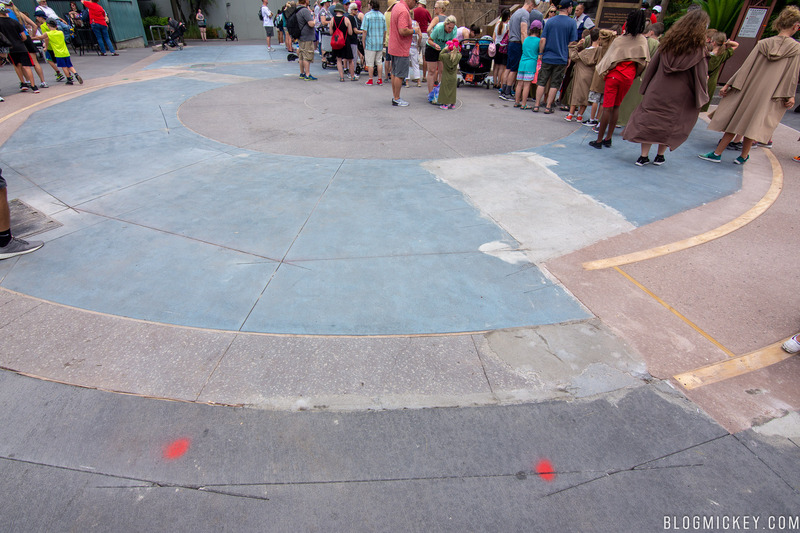 It appears that the stages are doing quite a bit of damage to the walkways, leading them to crack and fall apart. 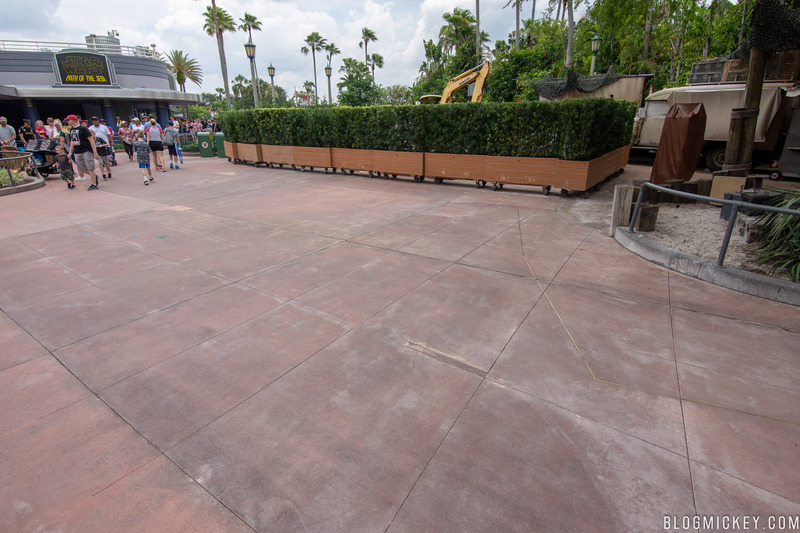 Here’s a look at some of the damage near Star Tours, where the stages head backstage. 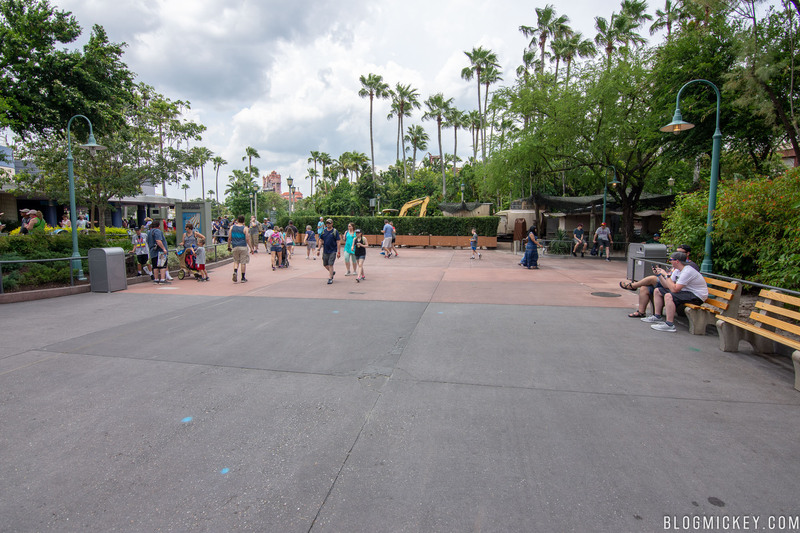 A section of walkway across from Path of the Jedi is currently closed as crews rip up the old concrete and pour new concrete. 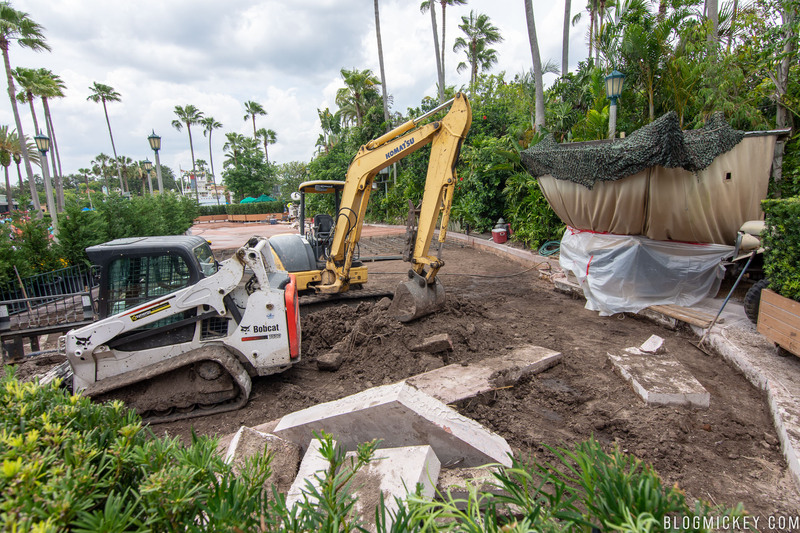 This work is creating quite the bottleneck in front of Path of the Jedi. 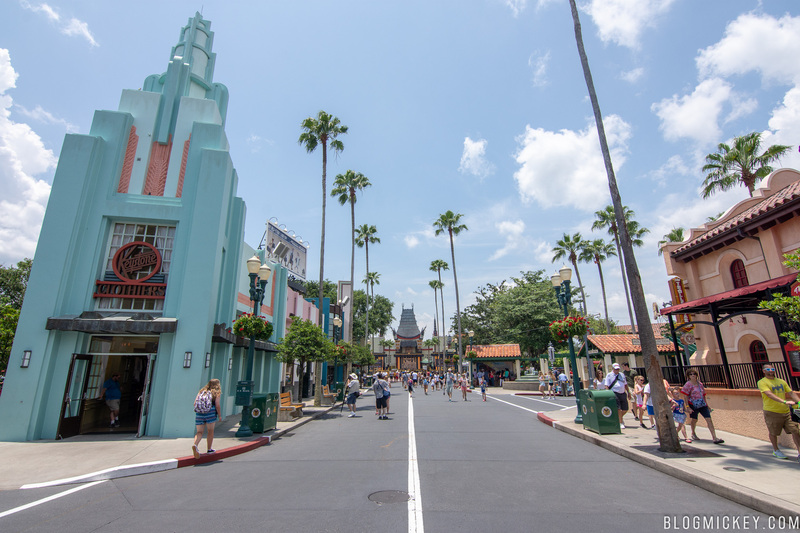 As the Vice President of Disney’s Hollywood Studios, I would like to welcome you to our Park. 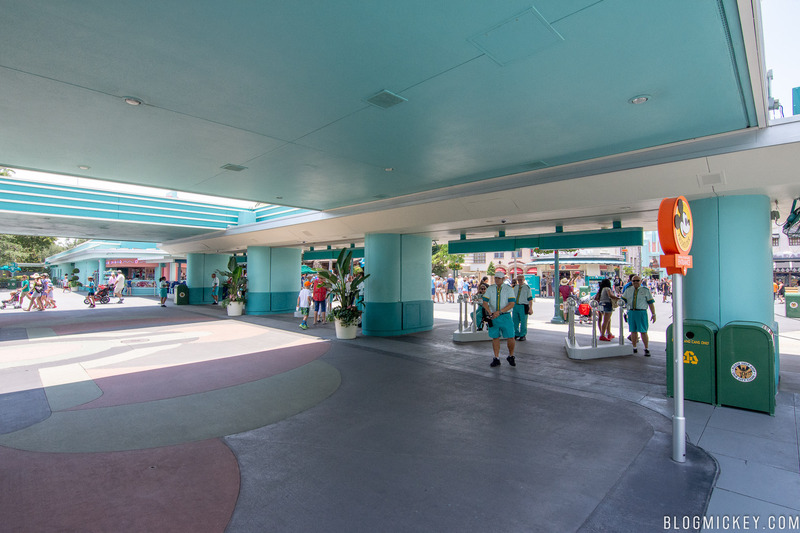 During your visit today, our Cast Members will strive to provide you with extraordinary service. 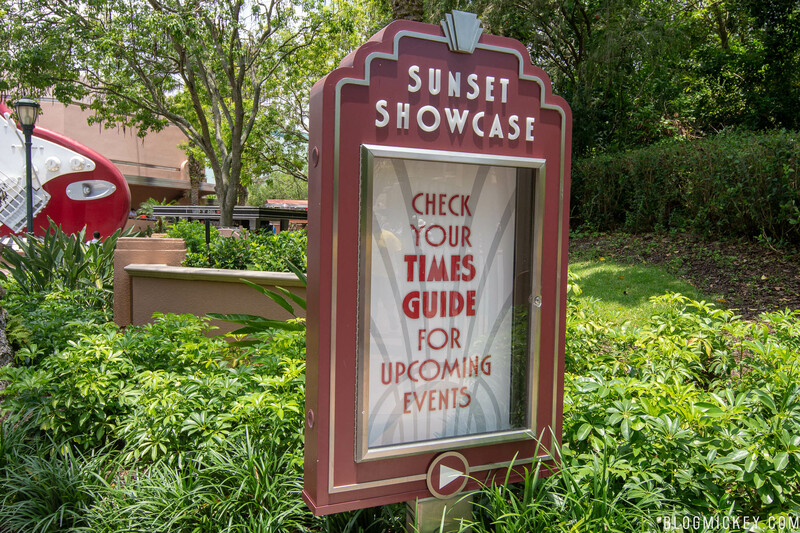 If you would like to share any thoughts about your Park visit today or need assistance, please email us at WDW.DHS@disney.com. 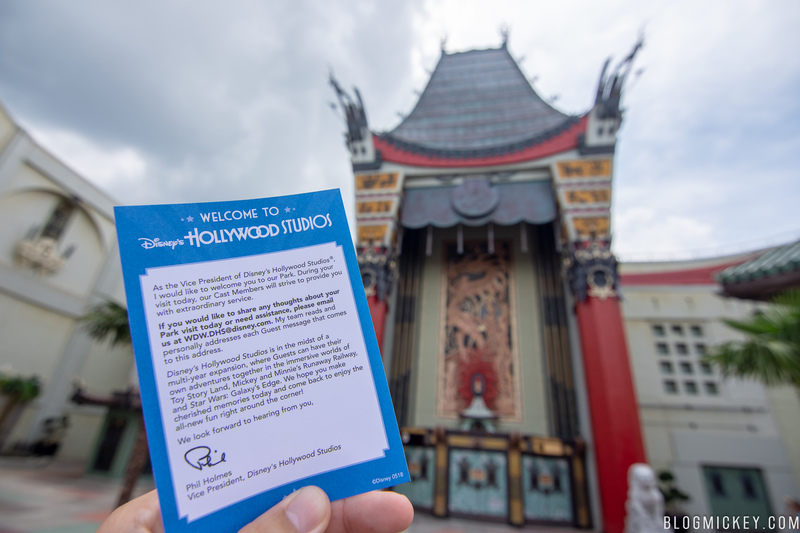 My team reads and personally addresses each Guest message that comes to this address. 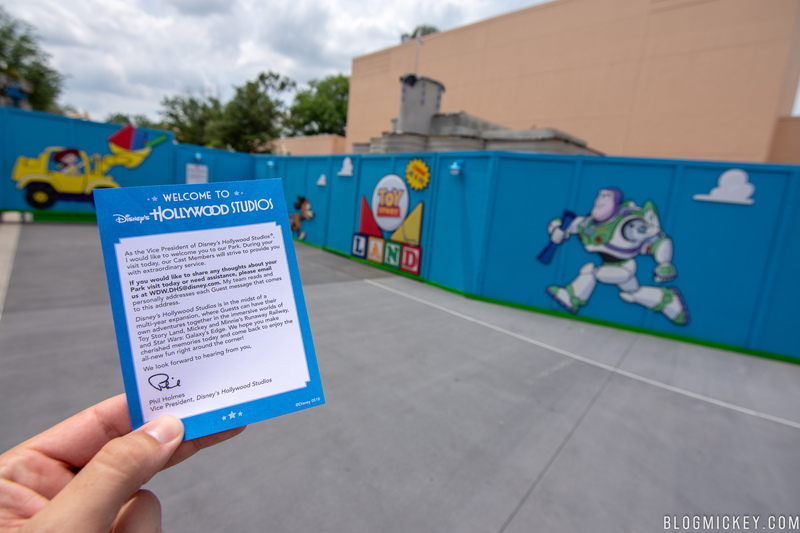 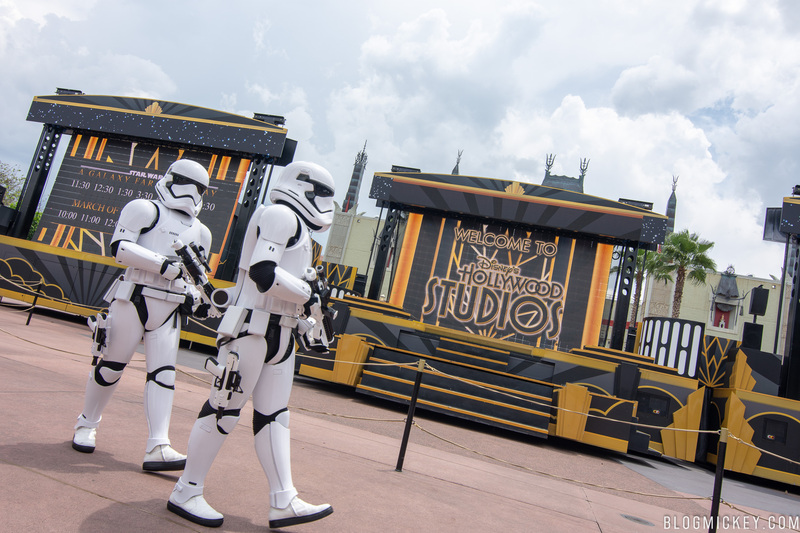 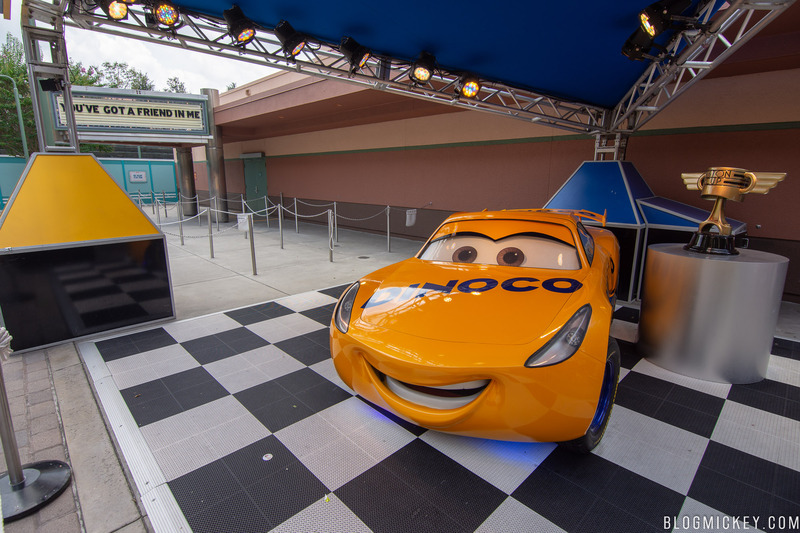 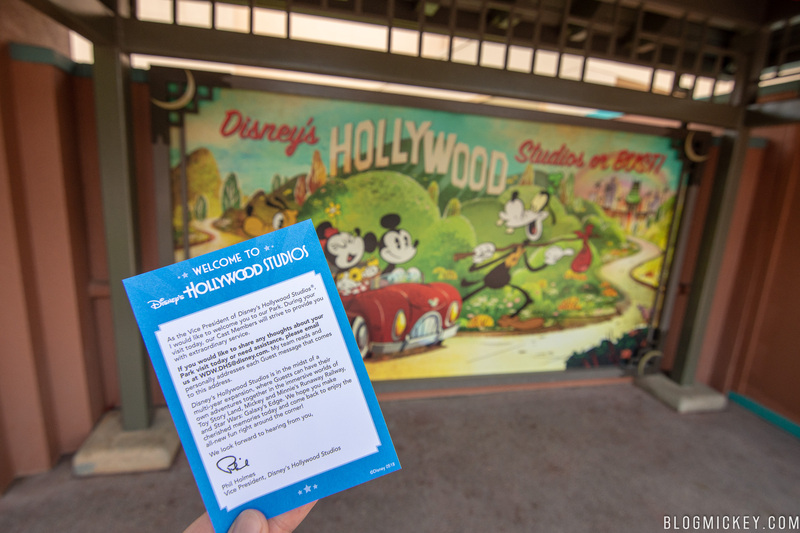 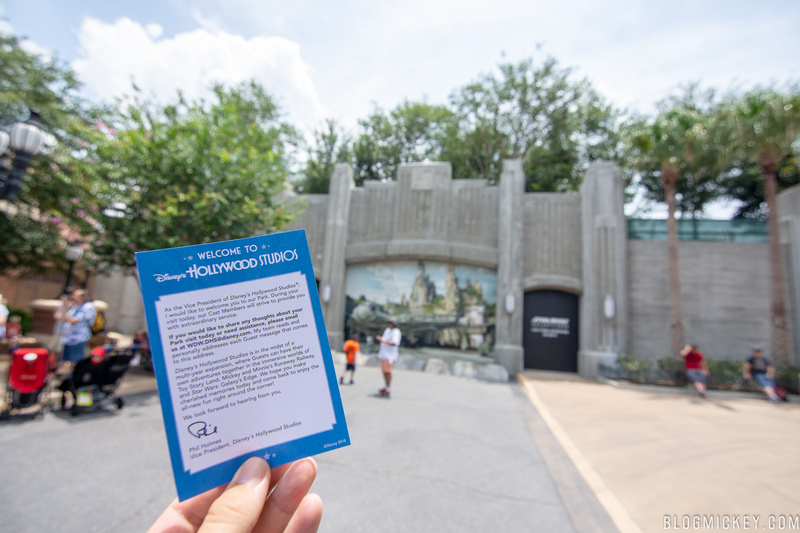 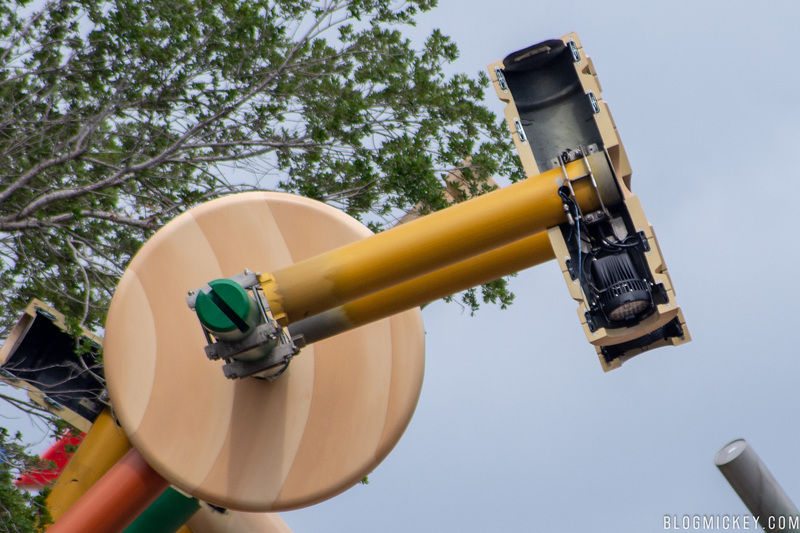 Disney’s Hollywood Studiosis in the midst of a multi-year expansion, where Guests can have their own adventures together in the immersive worlds of Toy Story Land, Mickey and Minnie’s Runaway Railway, and Star Wars: Galaxy’s Edge. 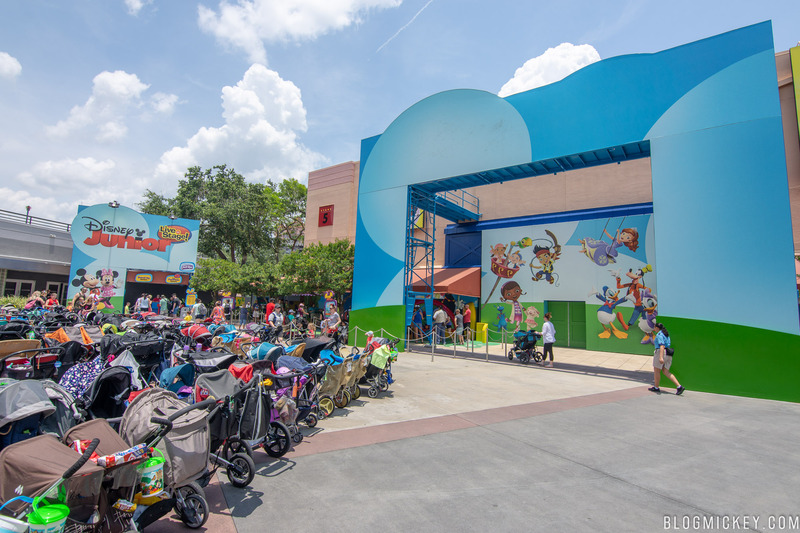 We hope you make cherished memories today and come back to enjoy the all-new fun right around the corner! 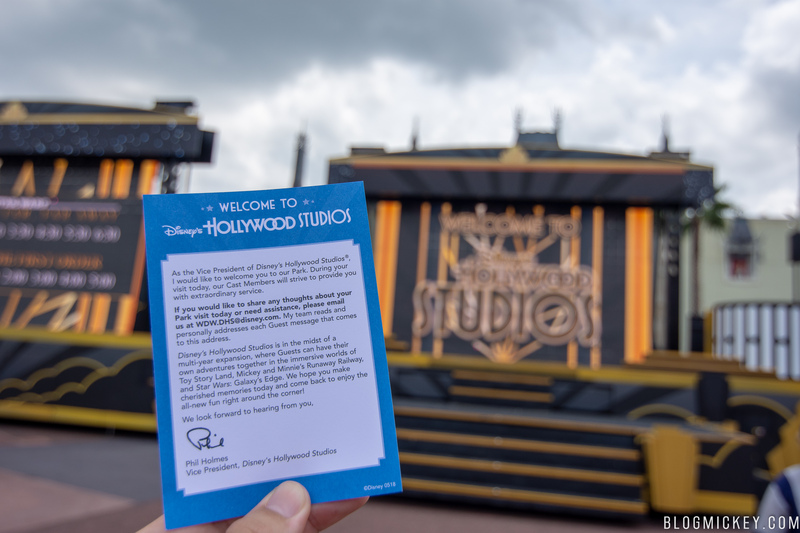 Here’s the card in front of the aforementioned projects. 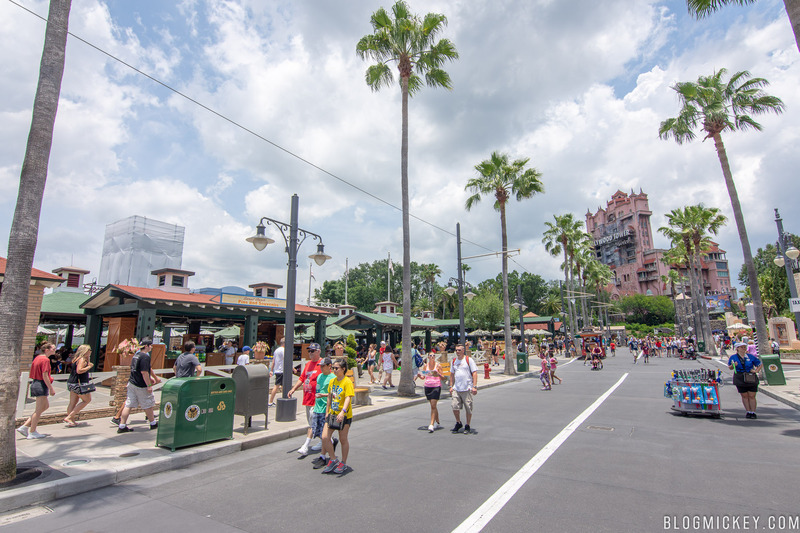 With all of the work and dead ends in Disney’s Hollywood Studios, it appears that guests are getting lost in the park. 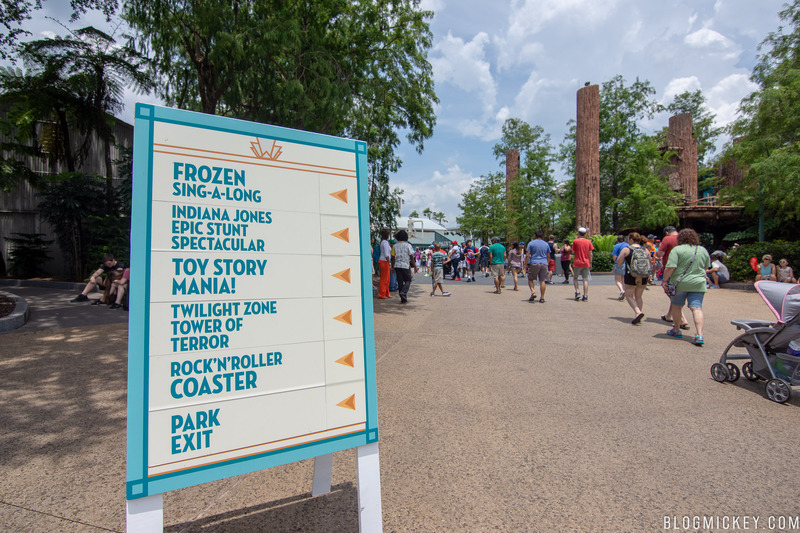 We counted no less than six directional signs in the park, assisting guests in finding food, attractions, restrooms, and the park exit. 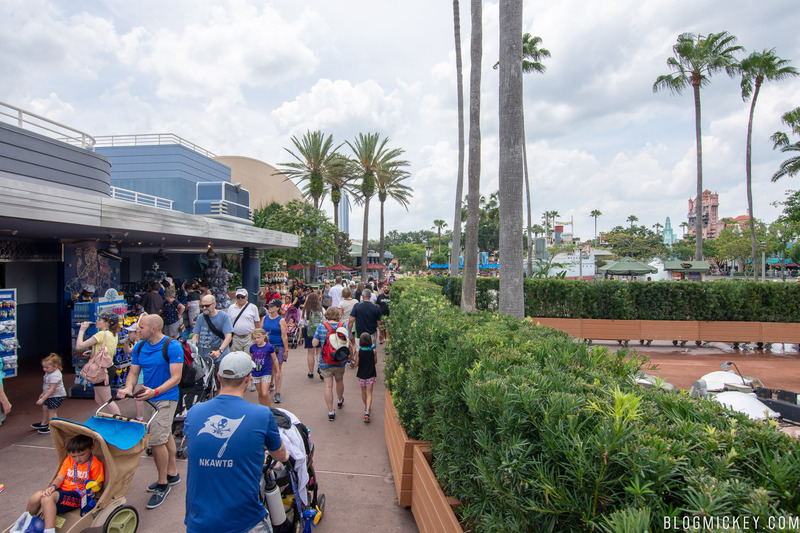 Thanks for reading and please let us know if you’d like to see us continue these types of overview updates in addition to our discrete updates and reviews. 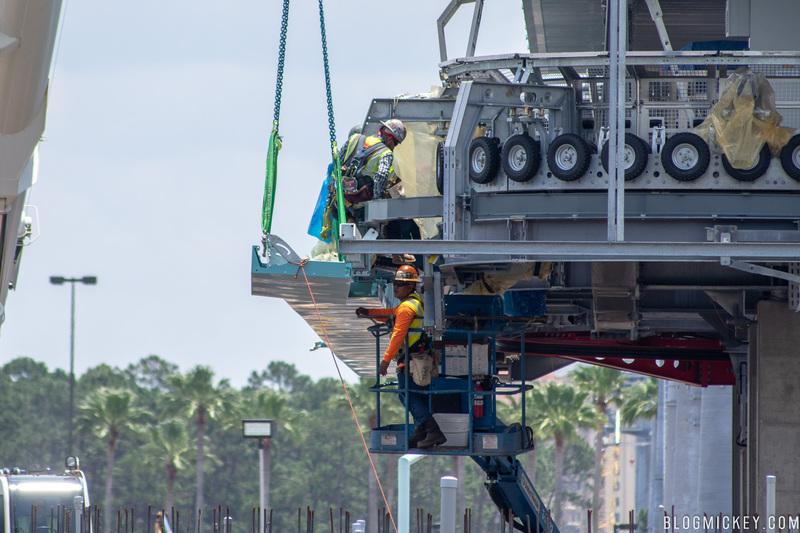 Please leave us a comment below or reach out on our social media channels.